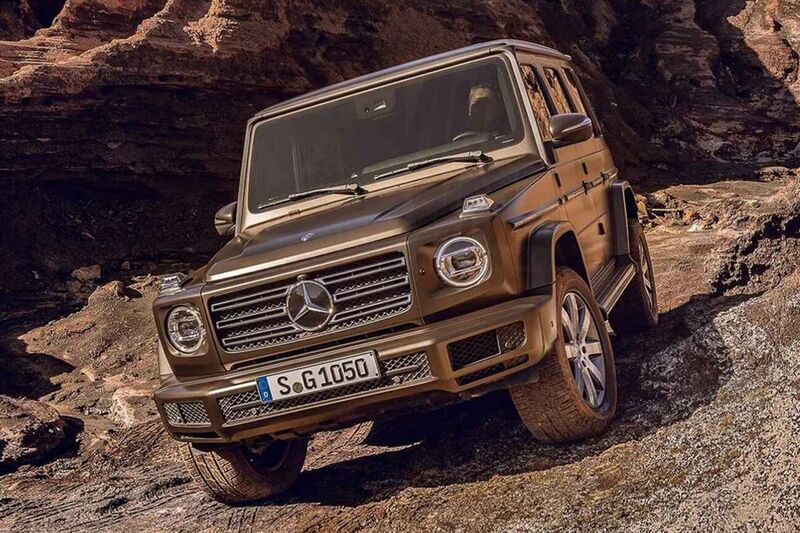 The all-new Mercedes-Benz G-Class just made its world debut at the Detroit Auto Show, yet the renderings have already started coming in. 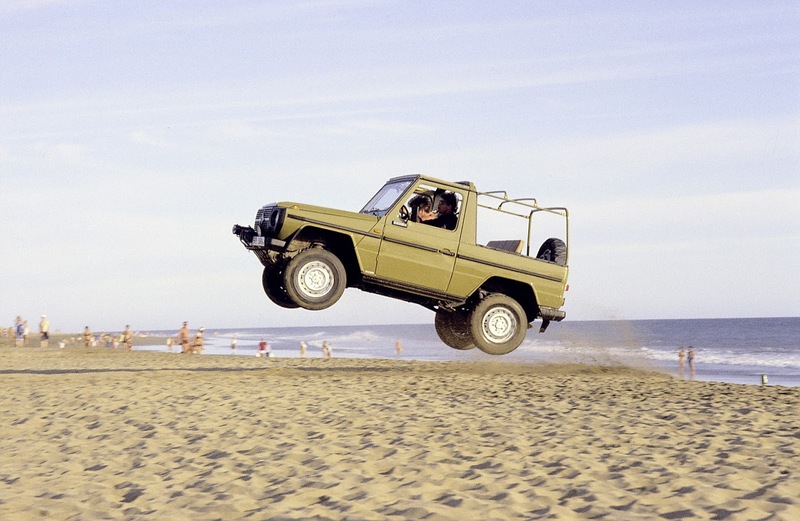 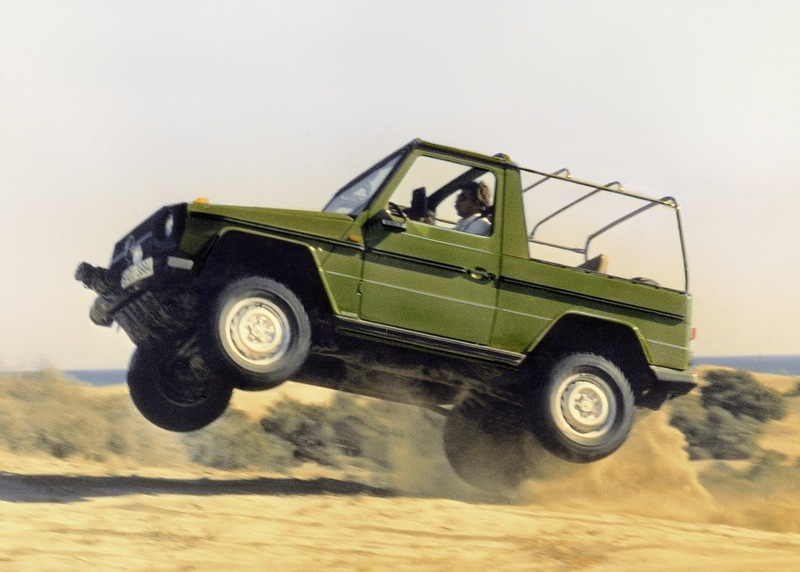 The Mercedes G-Class has withstood the test of time and become an icon for the brand. 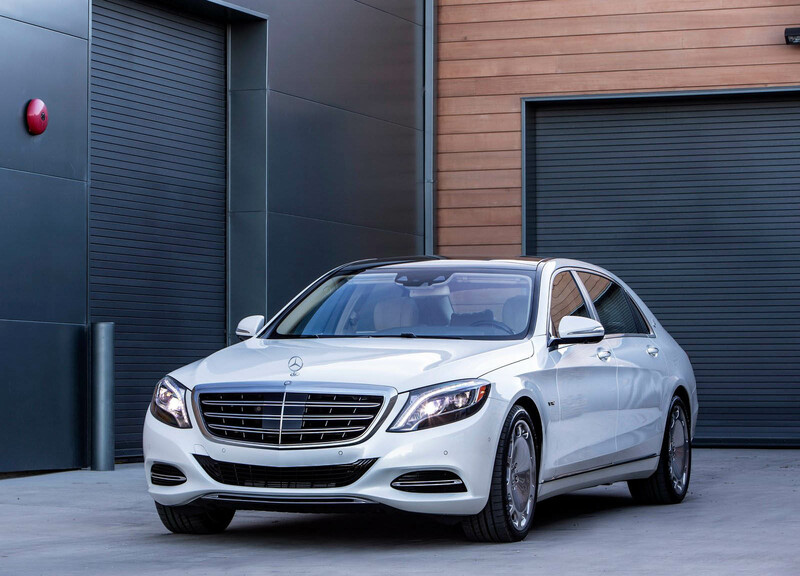 The company is hoping to build on that success by introducing the all-new model at the North American International Auto Show. 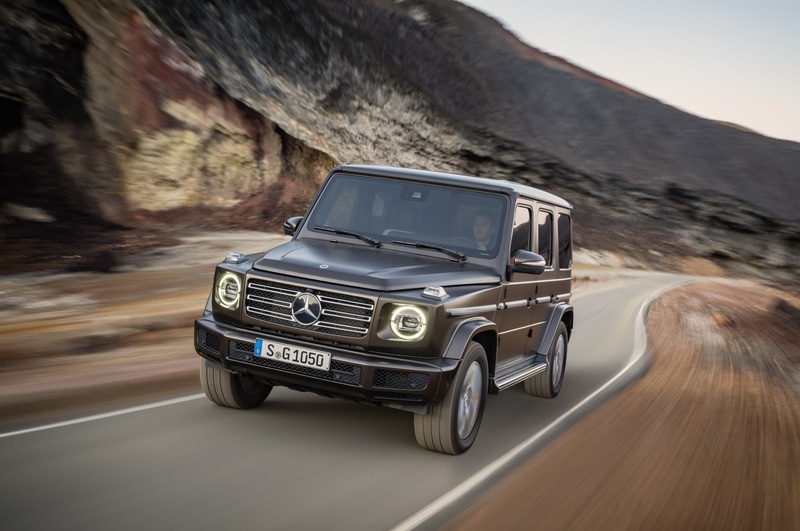 Redesigning an icon isn’t easy but Mercedes seems to have pulled it as the 2019 G-Class manages to capture the spirit of the original. 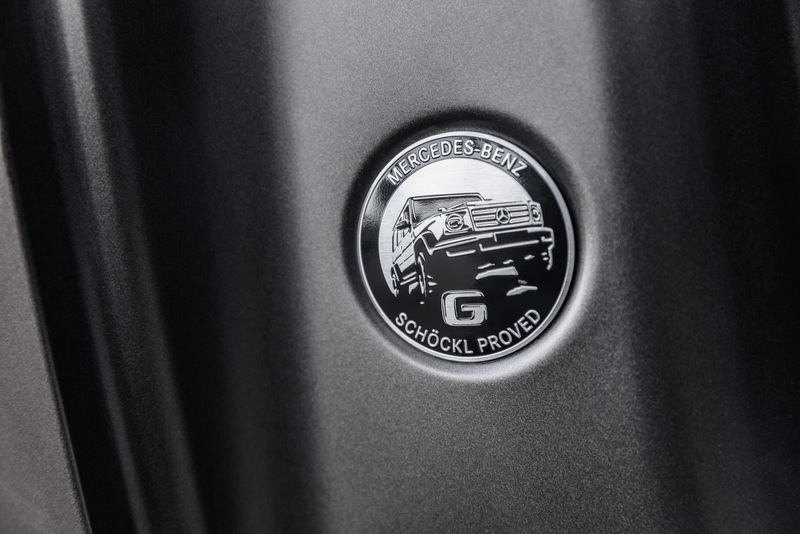 Starting up front, we can see a familiar grille which is flanked by circular headlights. 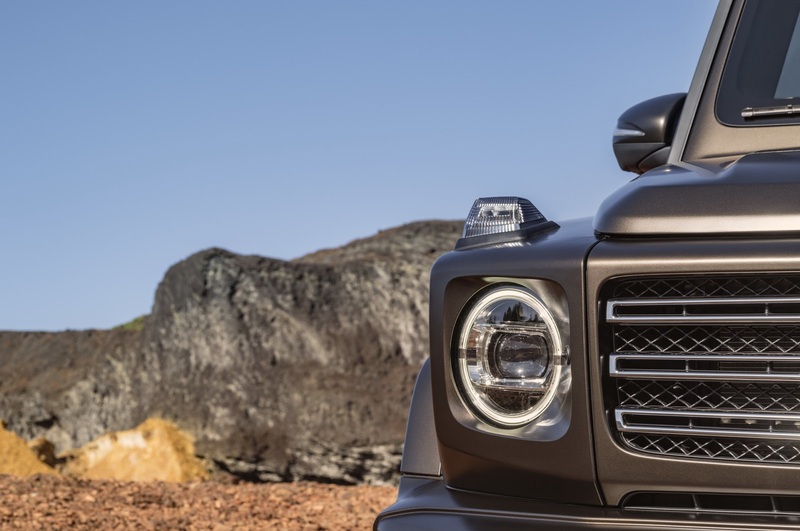 The model also has an evolutionary hood as well as a new front bumper which is more rounded to help improve aerodynamics. 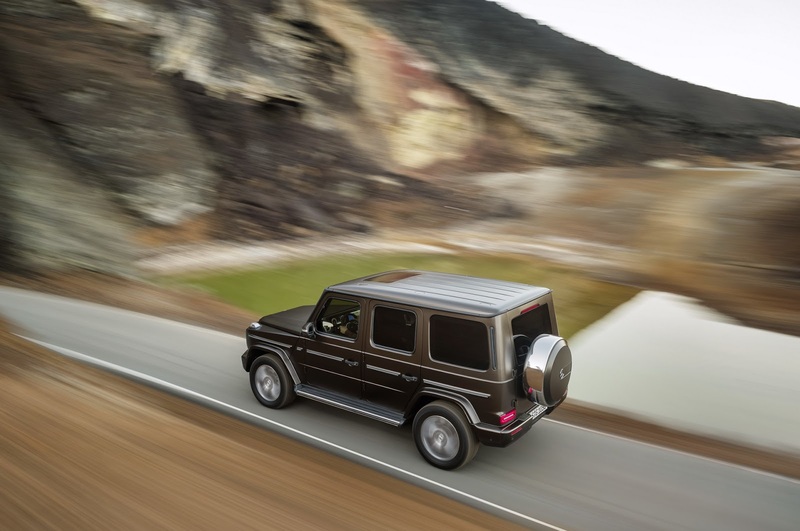 Moving further back, the G-Class retains its boxy styling and upright greenhouse. 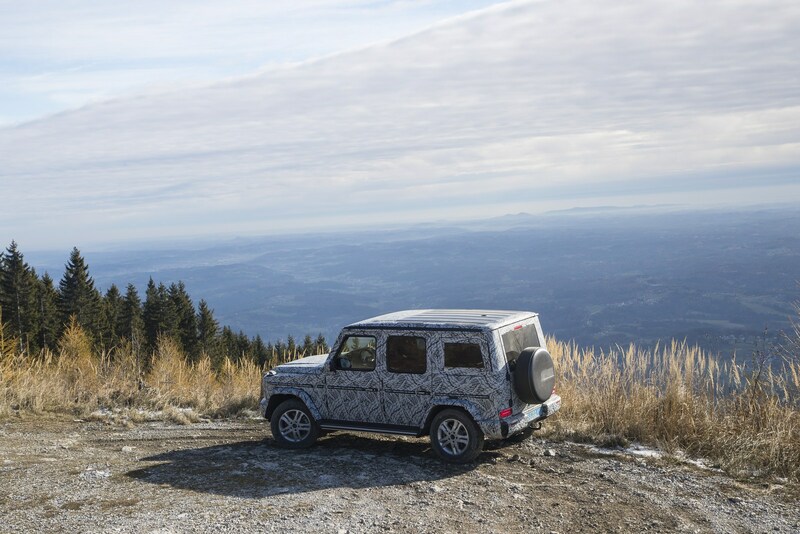 The model’s distinctive trim strips have also carried over and so has the spare tire carrier. 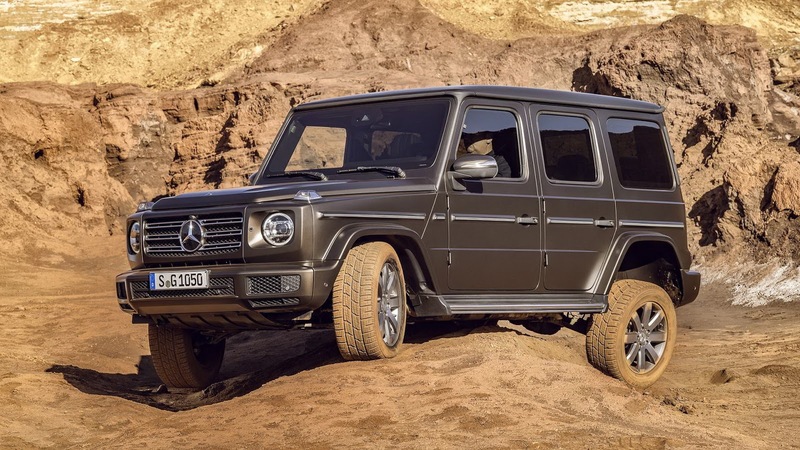 Despite the familiar appearance, the redesigned model is 53 mm (2 inches) longer and 121 mm (4.7 inches) wider than its predecessor. 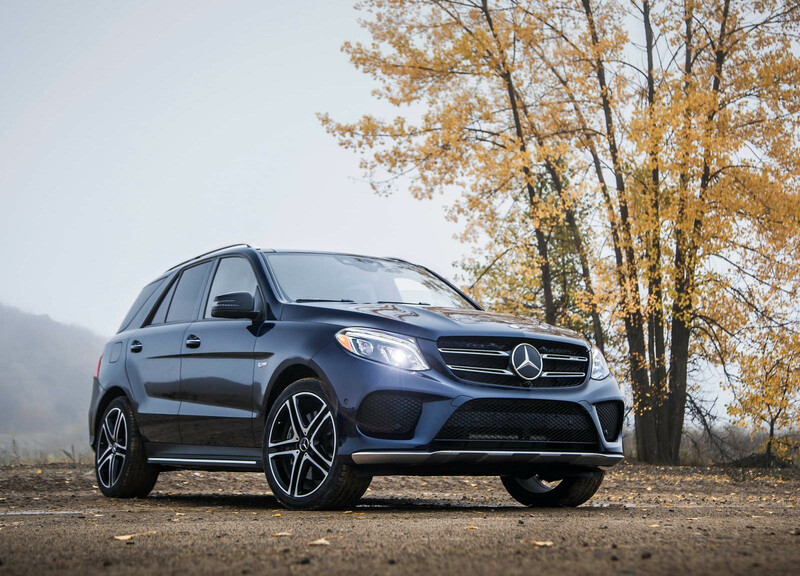 The styling changes continue in the cabin as drivers will find an all-new steering wheel, metallic accents, and wood or carbon fiber trim. 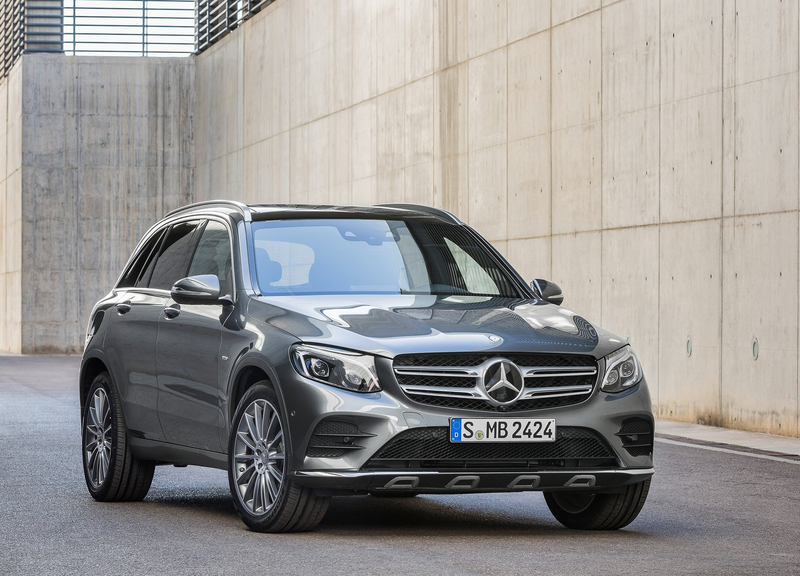 The SUV comes with analogue gauges but customers can order a 12.3-inch digital instrument cluster to match the 12.3-inch infotainment display. 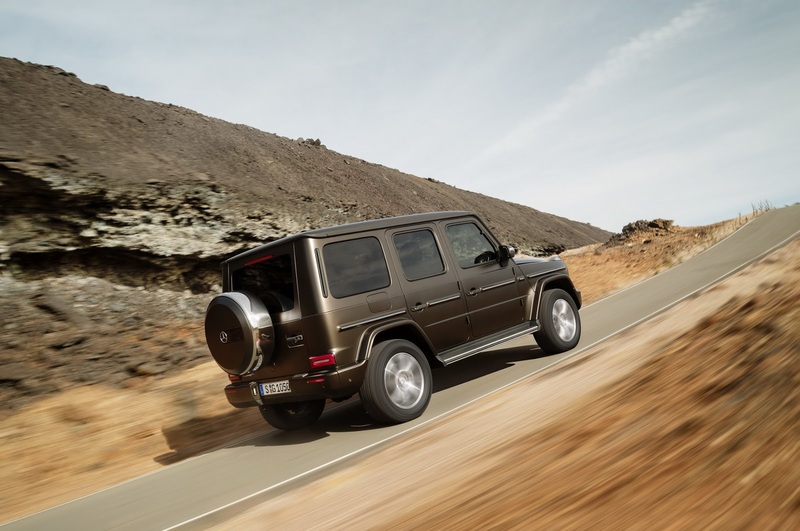 Elsewhere, there are heated seats, a seven-speaker audio system, and numerous new storage compartments. 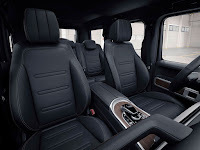 A dizzying array of options will be available including a 16-speaker Burmester surround sound system, designo leather upholstery, and an Active Multicontour Seat package which adds front seats with heating, ventilation, and massage functions. 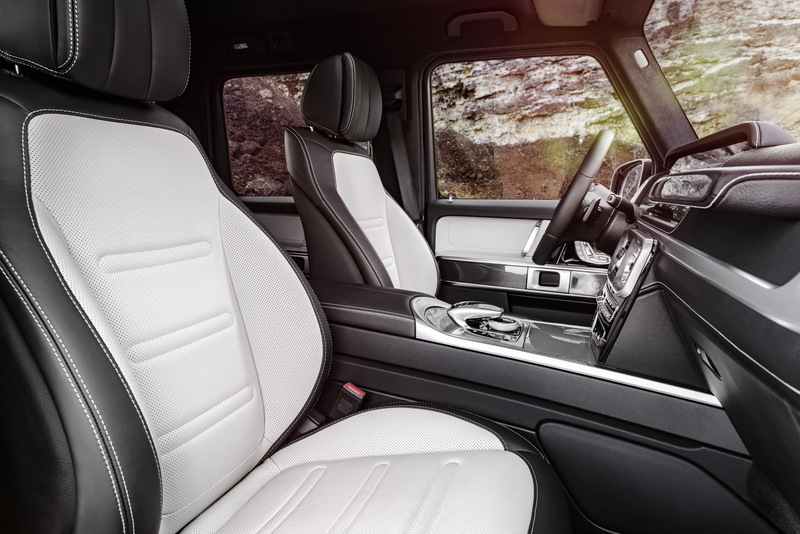 If that’s not luxurious enough, the Exclusive Interior Plus package adds Nappa leather upholstery on the doors, dashboard, and center console. 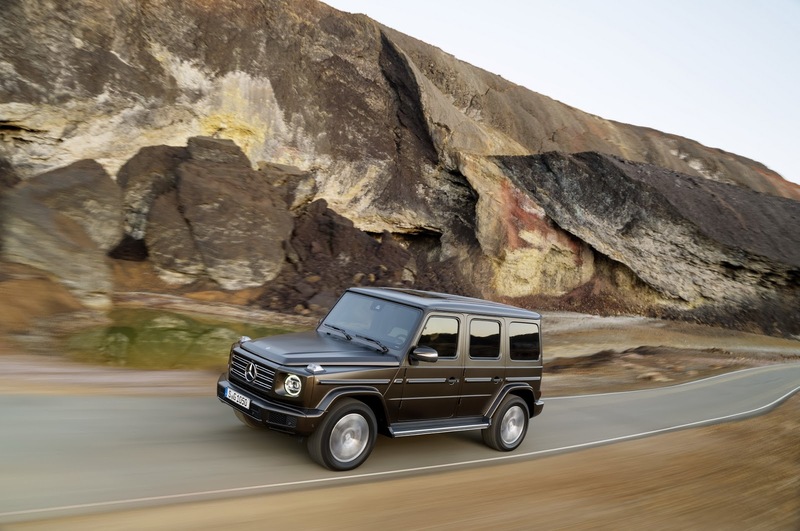 Even without additional options, the 2019 G-Class is more comfortable than its predecessor as it features an assortment of changes to reduce noise, vibration, and harshness. 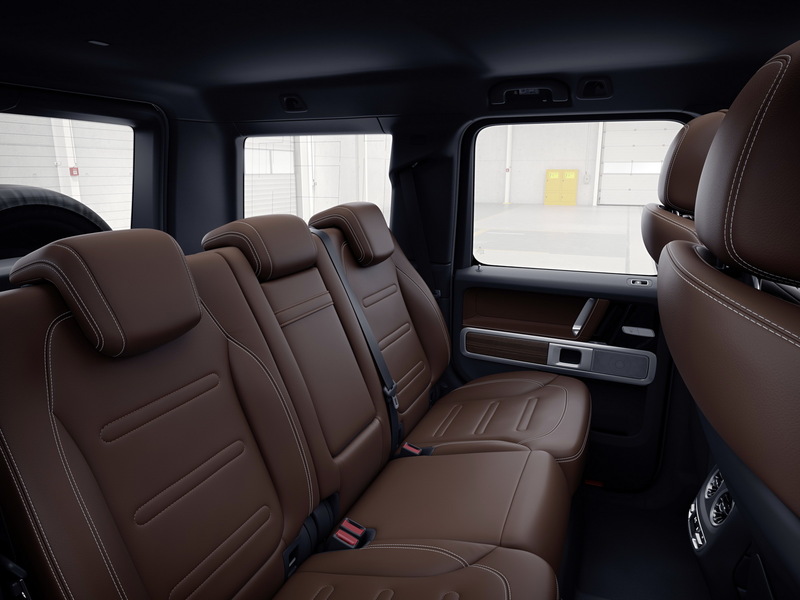 The model’s increased dimensions also provide drivers and passengers with additional leg, shoulder, and elbow room. Rear seat passengers, in particular, receive an additional 5.9 inches (150 mm) of legroom. 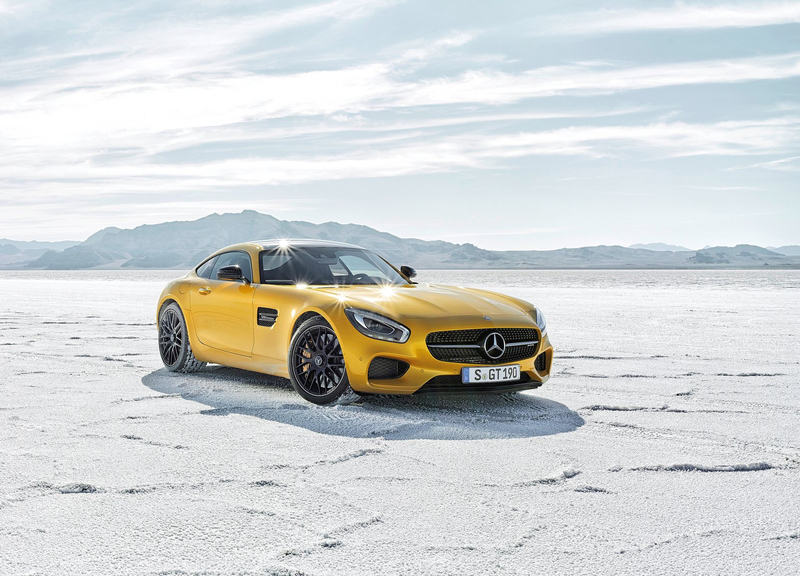 At launch, the model will be offered with a twin-turbo 4.0-liter V8 engine that develops 416 hp (310 kW) and 450 lb-ft (609 Nm) of torque. 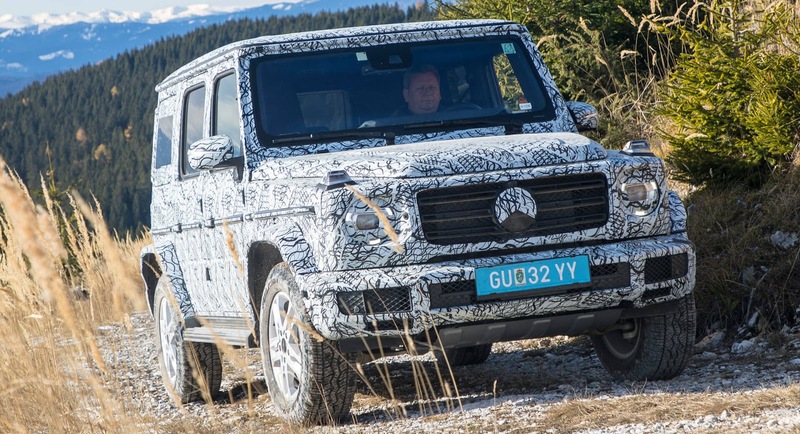 It will be connected to a nine-speed automatic transmission which is obviously paired to a four-wheel drive system. 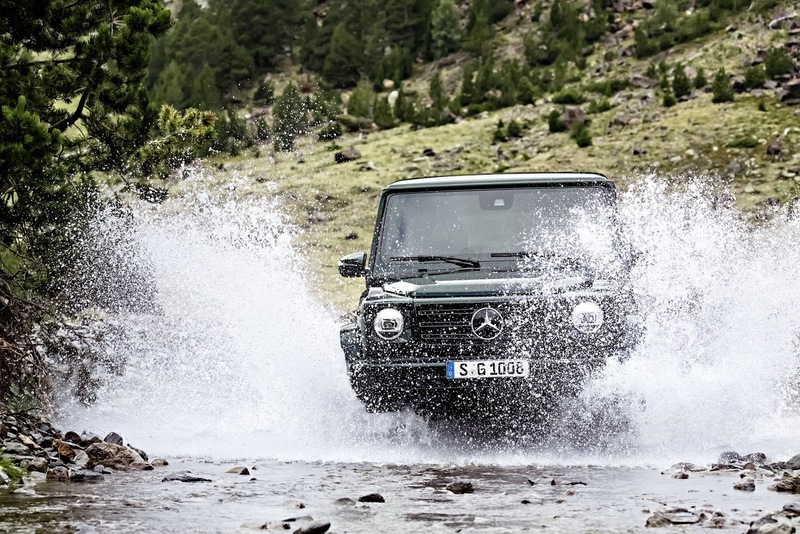 Thanks to these changes, the G-Class has approach and departure angles of 31° and 30° as well as a maximum fording depth of 70 centimeters (27.5 inches). 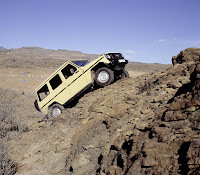 The SUV also boasts a 26° breakover angle and 241 mm (9.5 inches) of ground clearance between the axles. 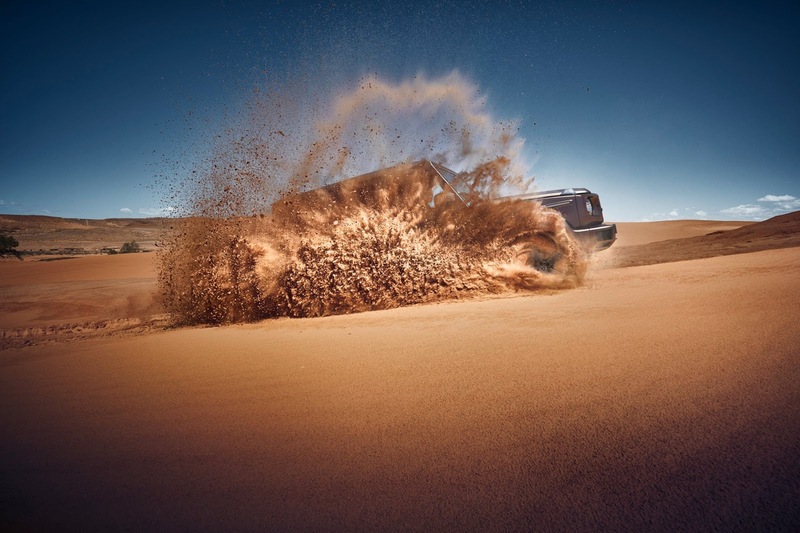 Other off-road focused features include a new transfer case and an all-new G-Mode which changes the characteristics of the accelerator, steering system, and adjustable damping system to ensure maximum off-road capability. 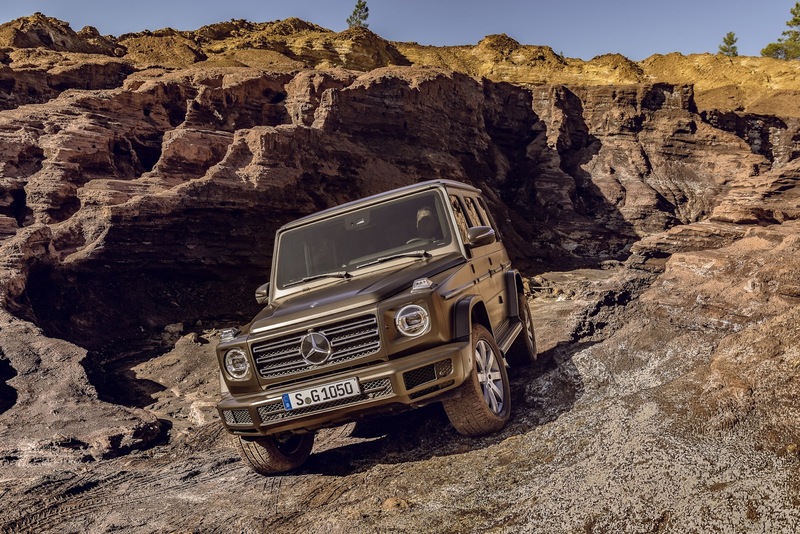 Besides being more capable off-road, the G-Class has an AMG-tuned suspension and a curb weight that has been reduced by approximately 170 kg (374 lbs) thanks to use of lightweight materials such as aluminum. 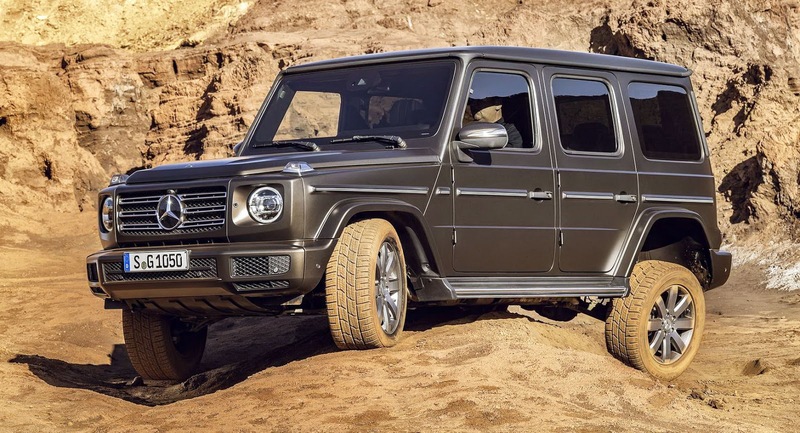 The all-new G-Class will go on sale in the United States in late 2018 and pricing will be announced closer to launch. 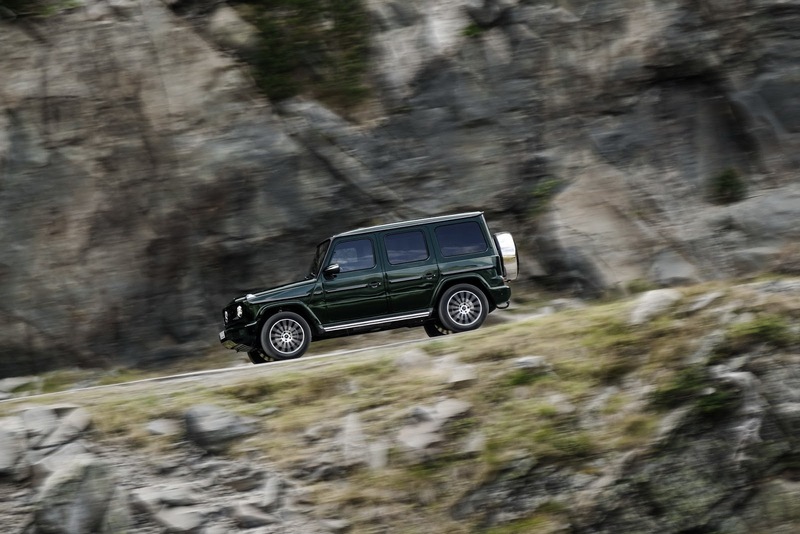 In Germany, the G-Class will be launched in June and be priced from €107,040.50 ($130,532). 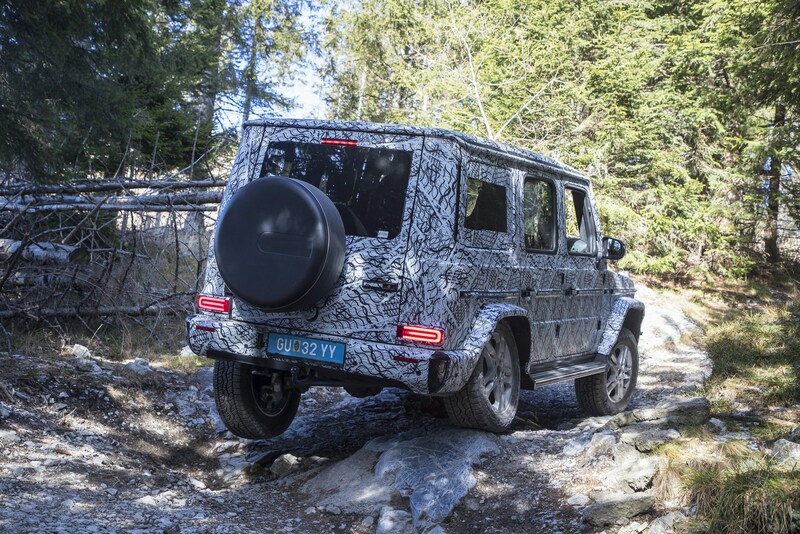 With just a few days to go until the 2019 Mercedes-Benz G-Class premieres at the Detroit Auto Show, a new teaser image of the off-roader has been published. 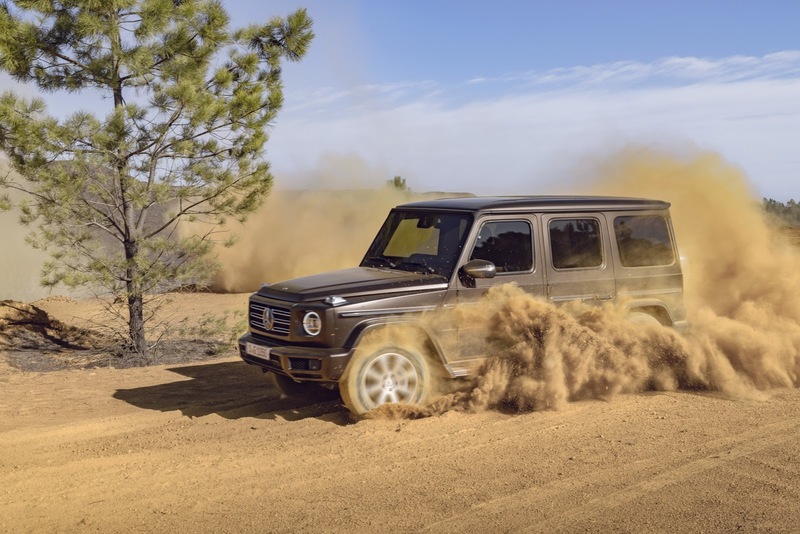 Like the previous teaser, which showed the G-Class driving through snow, this image also focuses on the vehicle’s off-road prowess, depicting the G-Class speeding through sand dunes with ease. 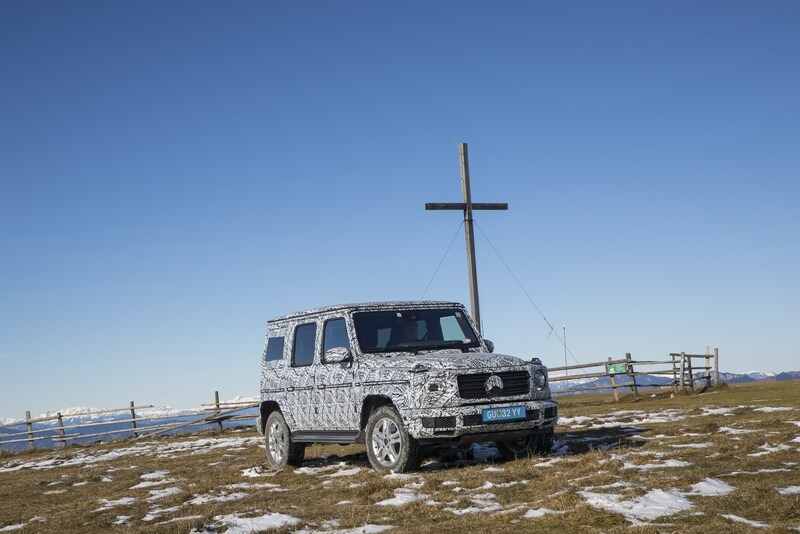 The image also offers a small glimpse of the revised front end of the latest-generation model. 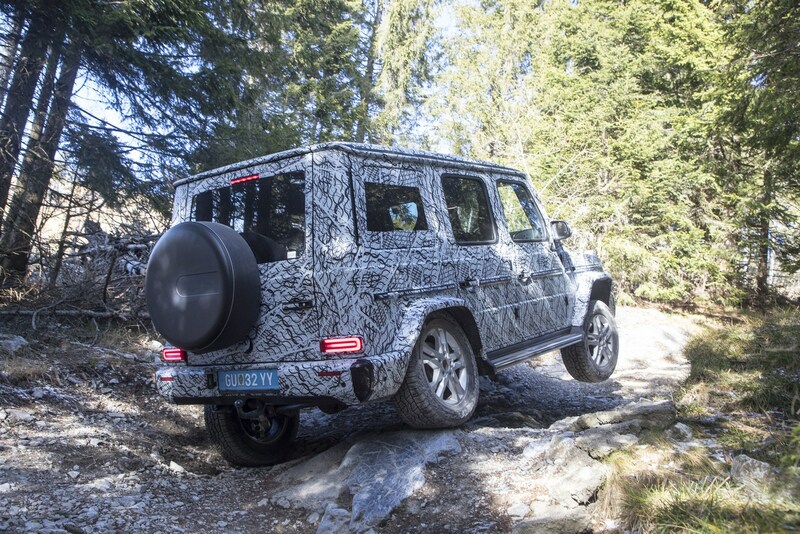 Recently leaked images of the off-roader have revealed that for the most part, it will look strikingly similar to the outgoing model. 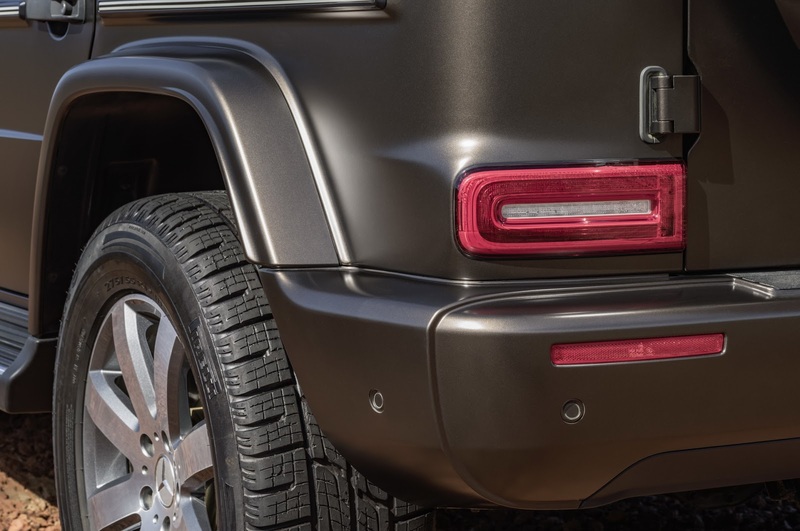 In fact, immediately obvious visual changes are limited to revised bumpers and modified headlights and taillights. 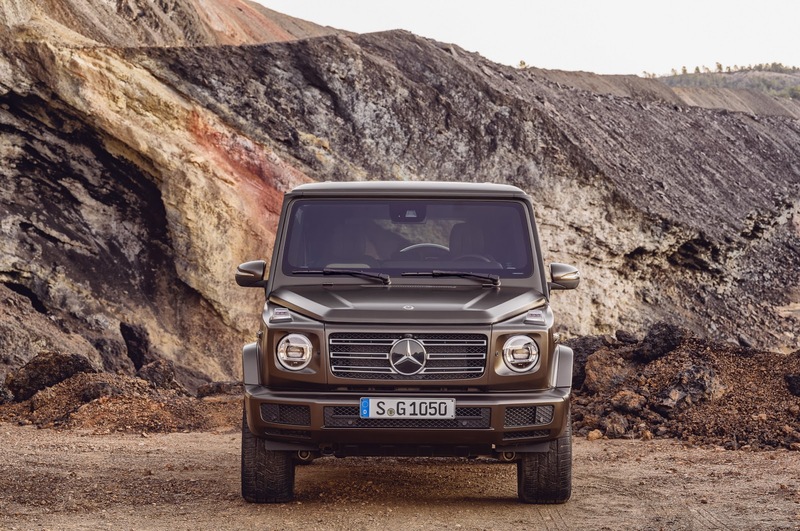 Evidently, Mercedes-Benz didn’t want to mess with the design of the G-Class too much, perhaps due to concerns that it could alienate customers. 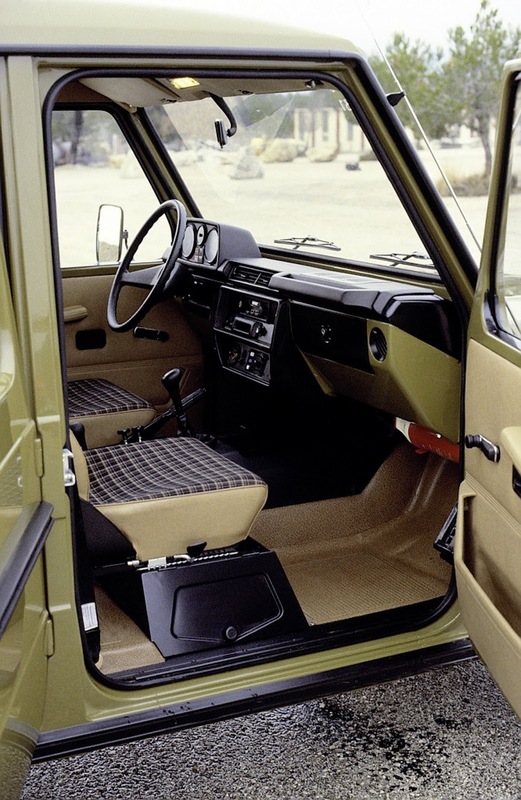 Alongside the exterior modifications, a host of serious changes are afoot for the interior. 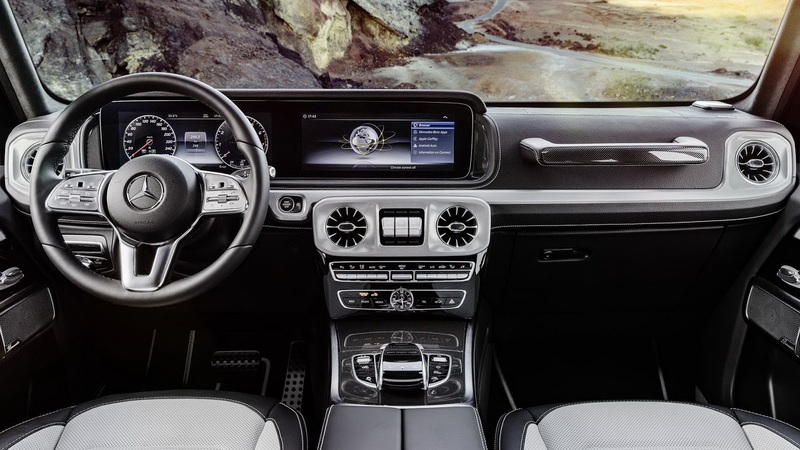 In fact, the car will be available with two huge optional digital displays on the dashboard and gauge cluster. 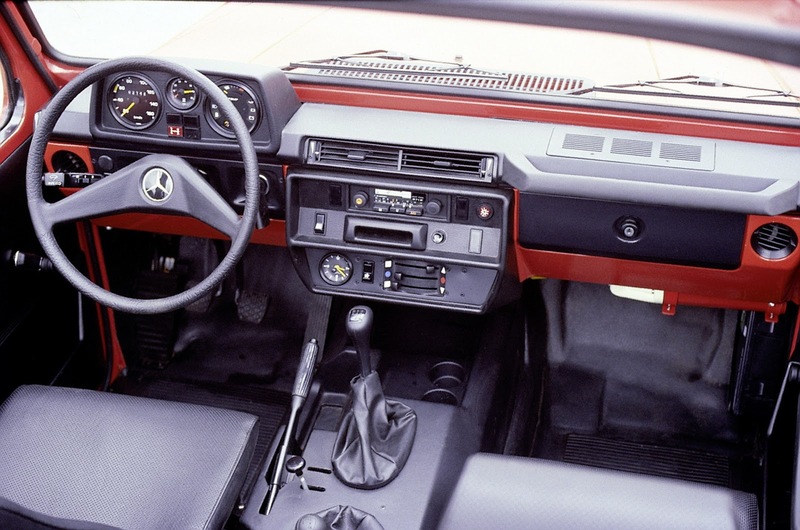 Additionally, there will be two removable cup holders, and improved passenger space. 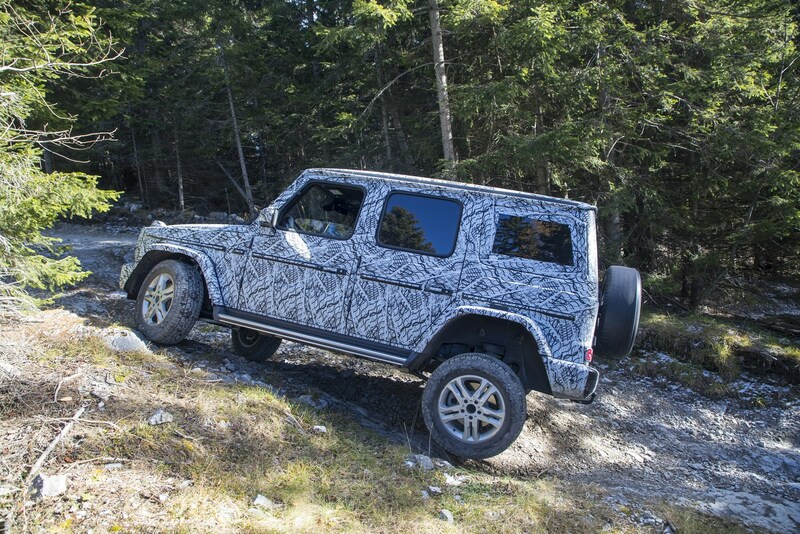 Engine details remain unknown but it has been confirmed that the 2019 G-Class will adopt independent front suspension, providing the vehicle with better road and off-road performance. 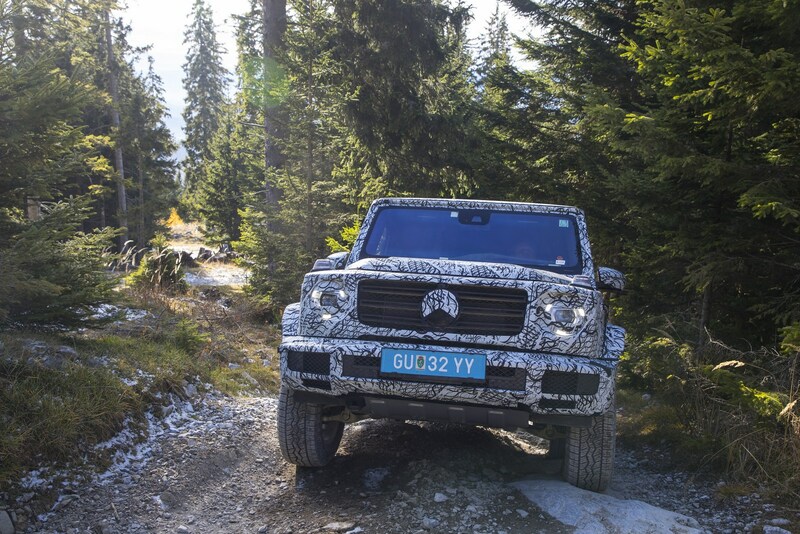 Stay tuned for more details about the new Mercedes-Benz G-Class in the coming days. 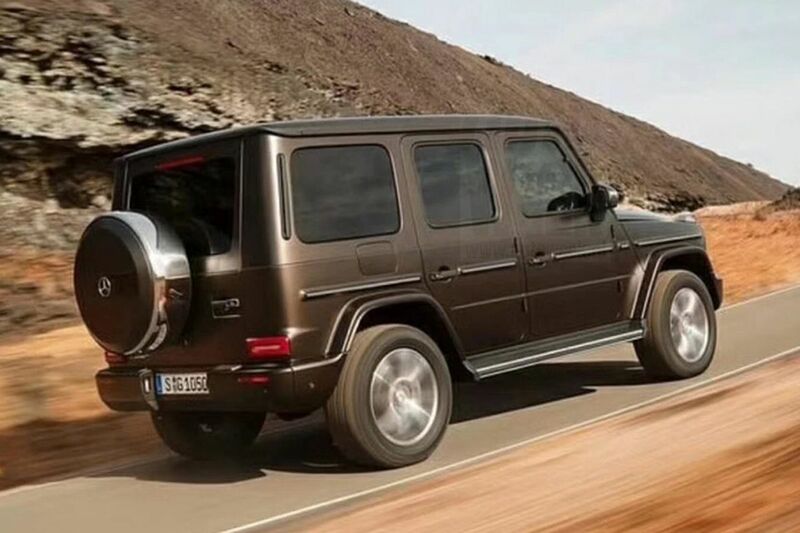 The all-new Mercedes-Benz G-Class has already been leaked in all of its boxy glory, but the German automaker is continuing to tease its new off-roader, recently sharing this image on Facebook. 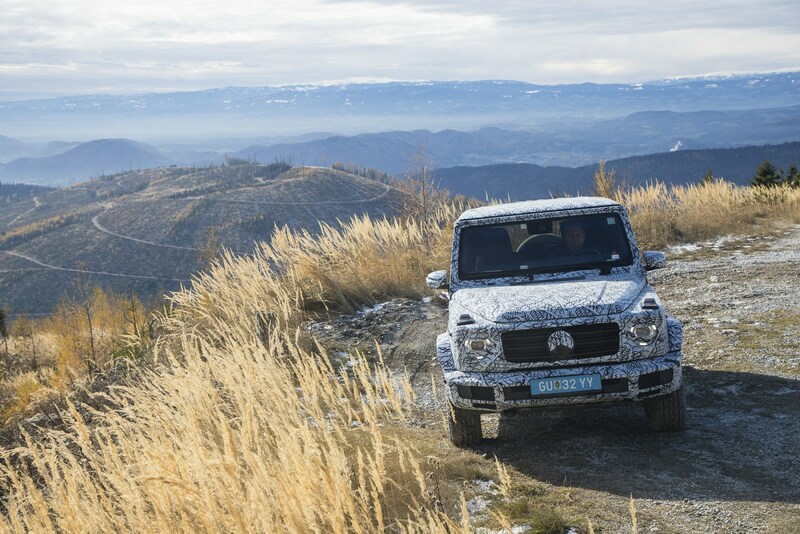 In the picture, the new G-Class is pictured traversing through deep snow, which implies that it will be just as capable off-road as its predecessor. 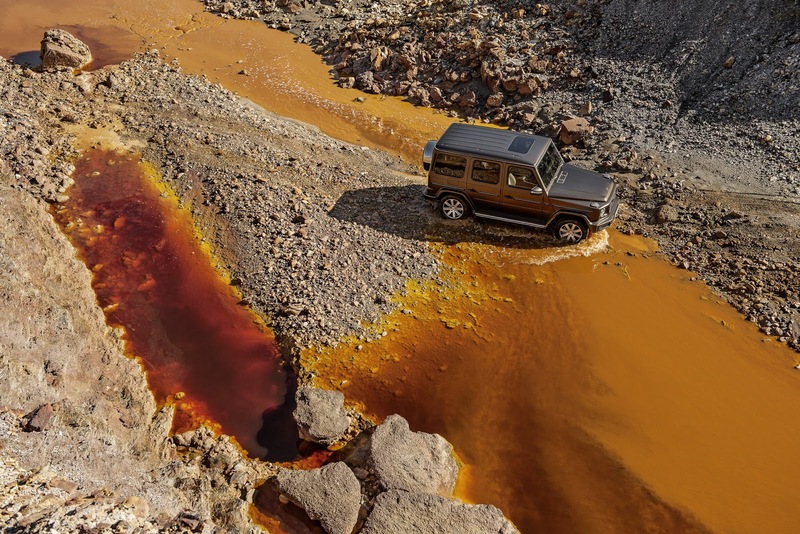 This will be reassuring to anyone who might have feared that Mercedes would make the G-Class softer. 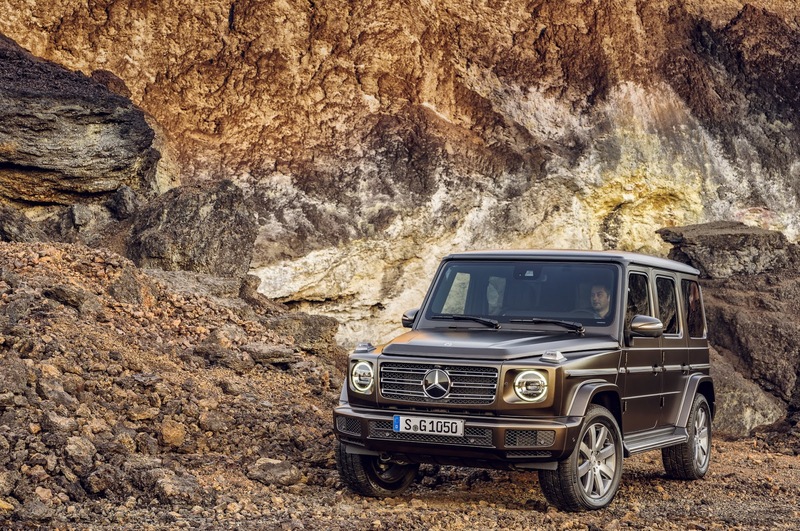 In terms of its design, the new G-Class looks more like a facelift than an all-new vehicle. 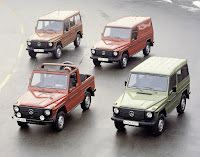 In fact, subtle changes to the front and rear fascias are the only notable changes that jump out. 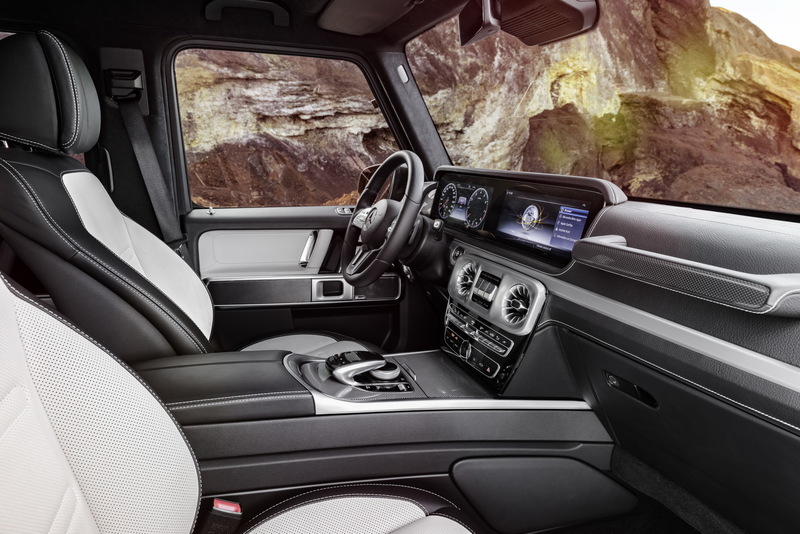 Inside, however, things are radically different, thanks to the all-new design and (optional) twin digital displays, two removable cup holders, and improved passenger space. 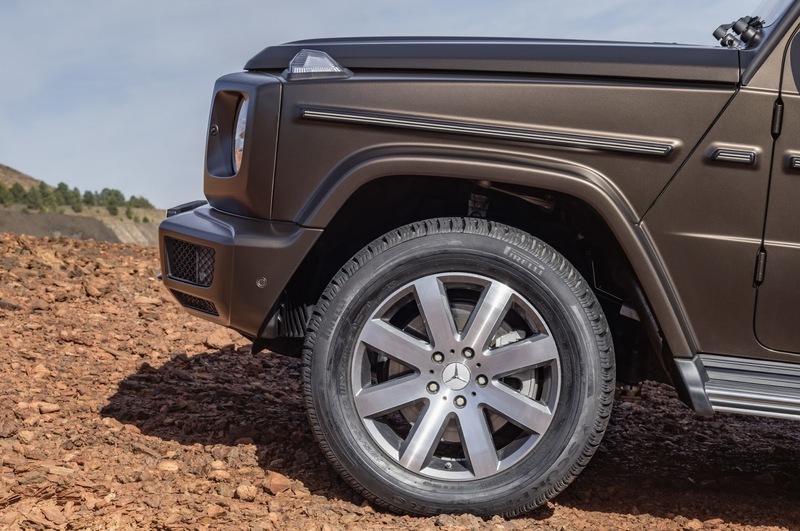 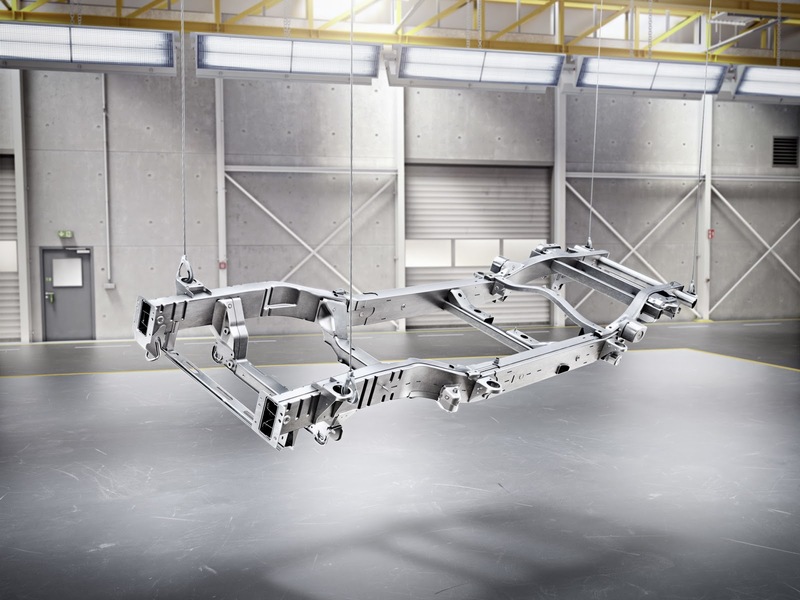 One key mechanical upgrade of the new G-Class is the implementation of independent front suspension that promises to improve dynamics both on the road and off-road. 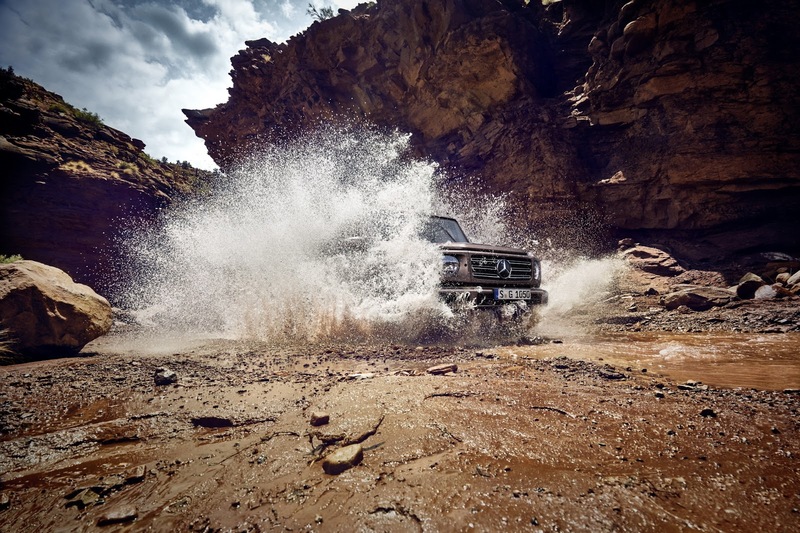 In fact, the vehicle will have approach and departure angles of 31° and 30° respectively and a maximum fording depth of 70 cm (27.5 inches). 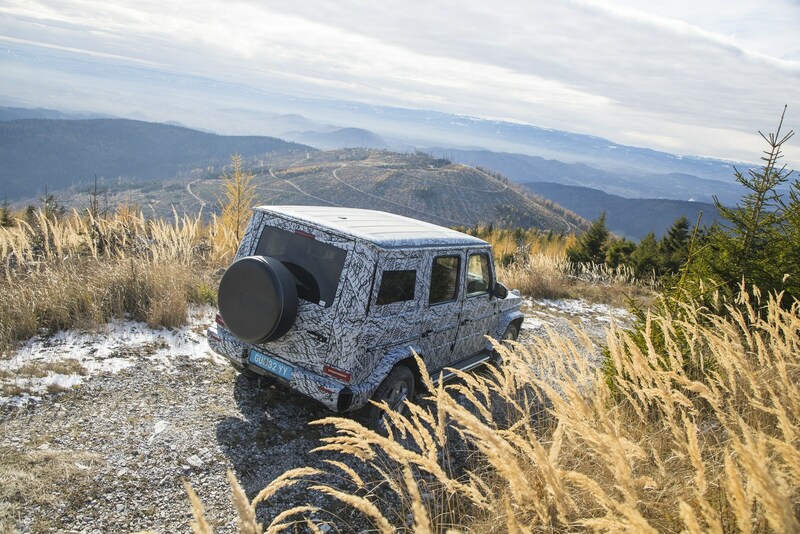 The new G-Class will make its official premiere in a few days, at the Detroit Auto Show that opens on January 15. 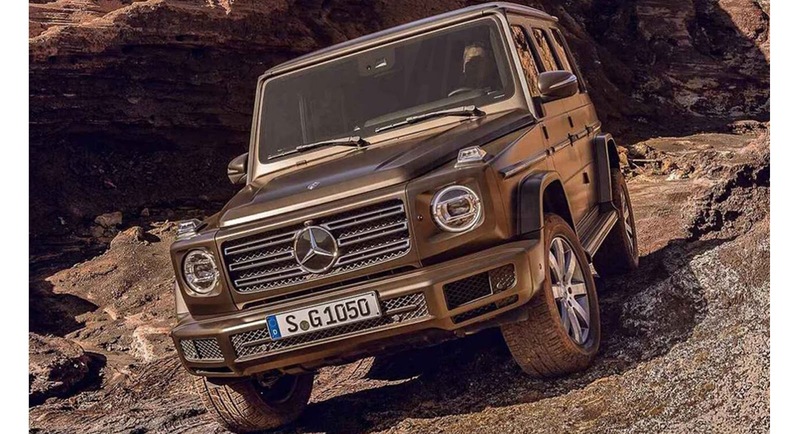 In case you didn’t already know, the Mercedes-Benz G-Class (yes, the one that’s just been replaced with an all-new model) is one of the world’s most expensive SUVs. 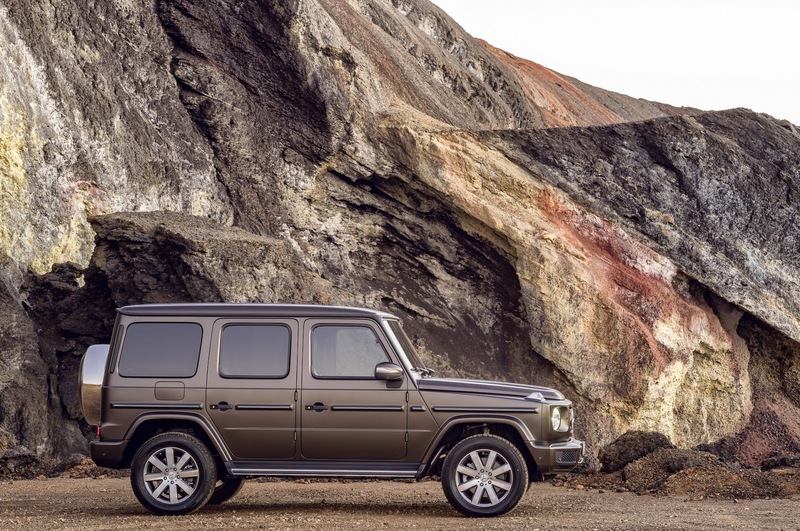 Buying a brand new one in the U.S. will set you back at least $123,600, which is the base price for the “entry-level” G 550 version – and that’s before you start ticking any boxes in the options’ list. 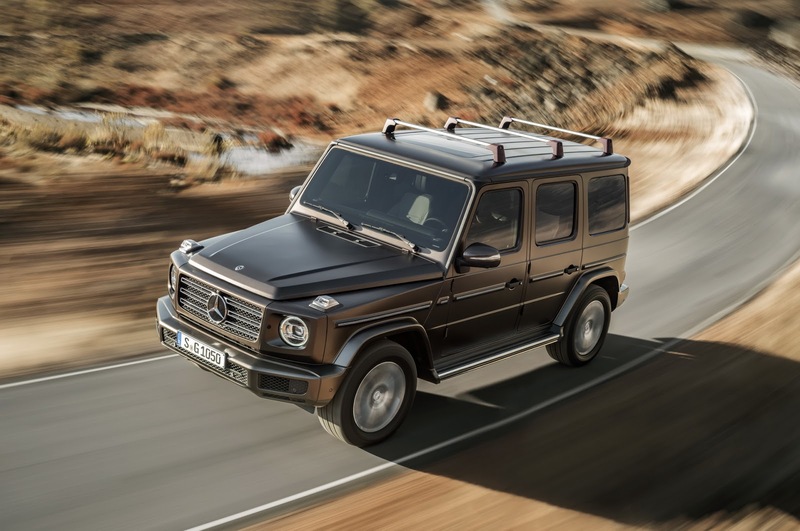 Now, if you don’t mind missing out on some of the latest Mercedes-Benz gadgets, opting to purchase an older model G-Class at an auction could turn out to be a smart move, and since the German brand has kept the styling practically intact for many years, it would take a trained eye to spot that it’s 14 years old. 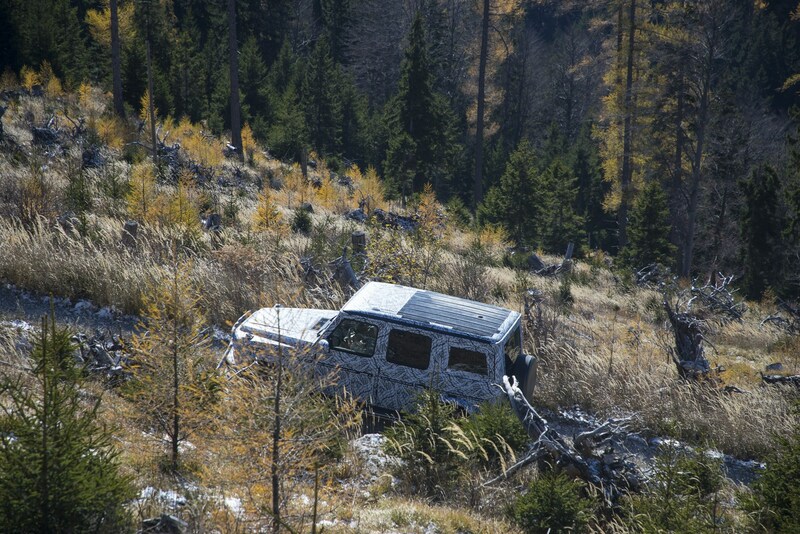 For example, take a look at this 2003 model we found on Bring a Trailer. 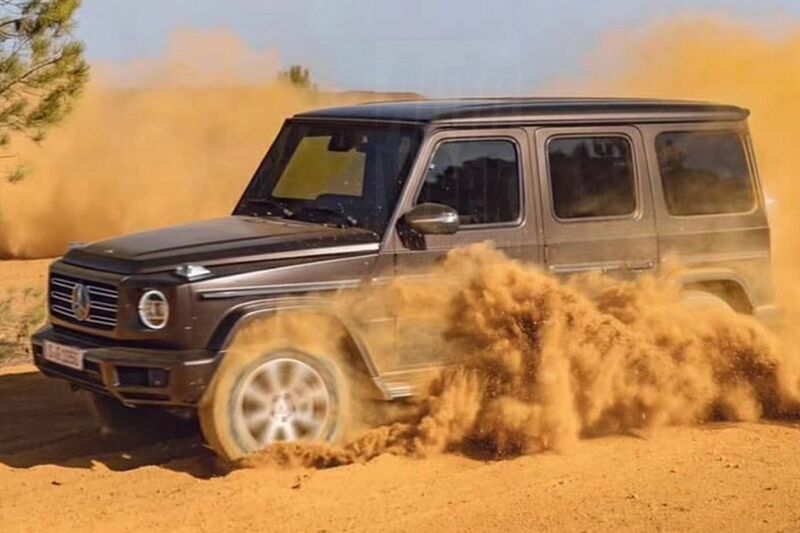 The seller has listed the car without reserve, and with four days still left, the highest bid is $17,000, a number that will obviously go up as the auction nears its end. 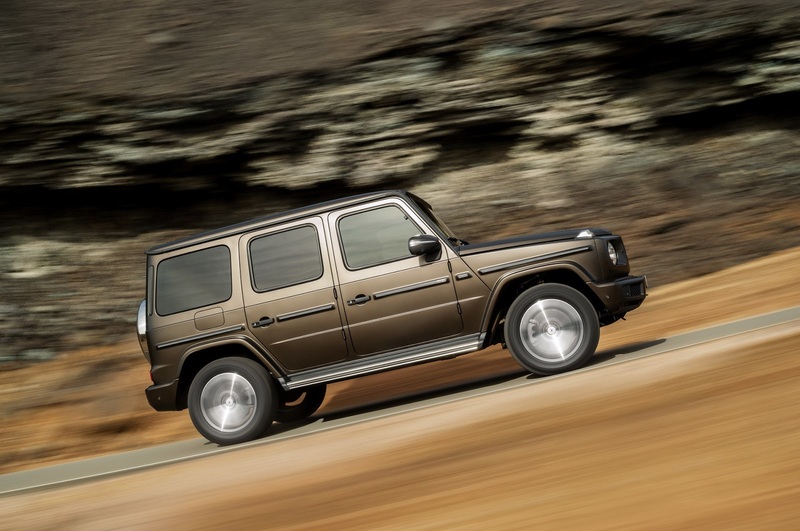 After looking at a bunch of 2003-2006 G 500 models with more than 100,000 miles (160,000 km) on the clock on both Autotrader and eBay Motors, we found that a lot of them are priced somewhere between $35,000 and $40,000, so we wouldn’t be surprised if eventually it sells for a similar amount. 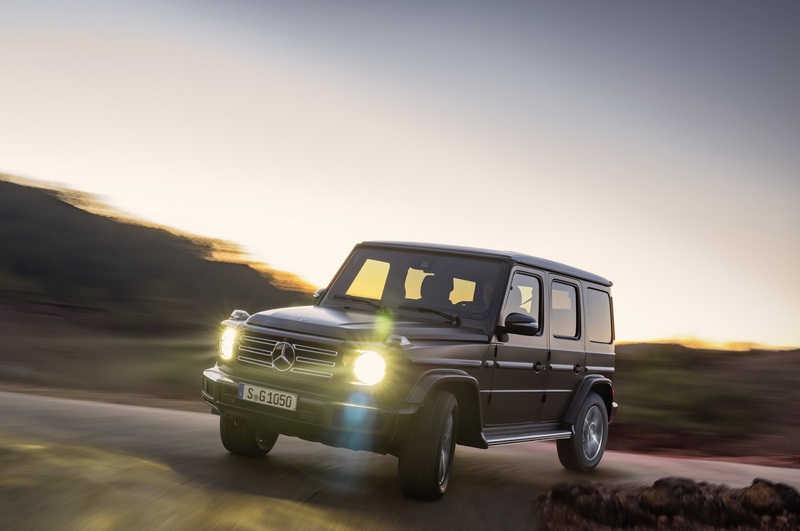 Finished in Silver Gray with a Gray leather interior, this G 500 has 133,800 miles (215,330 km) on the clock, and aside from the tinted windows, it’s being described as stock. 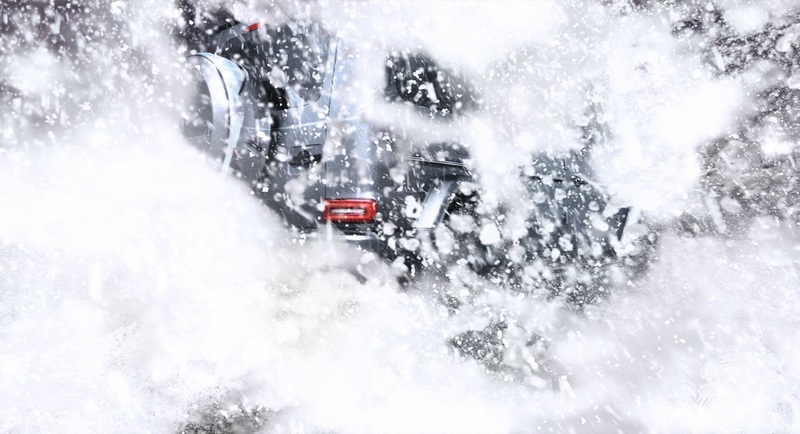 Other features include the OEM split five-spoke alloys, power sunroof, dual-zone climate control, power seats, sat-nav and plenty more. 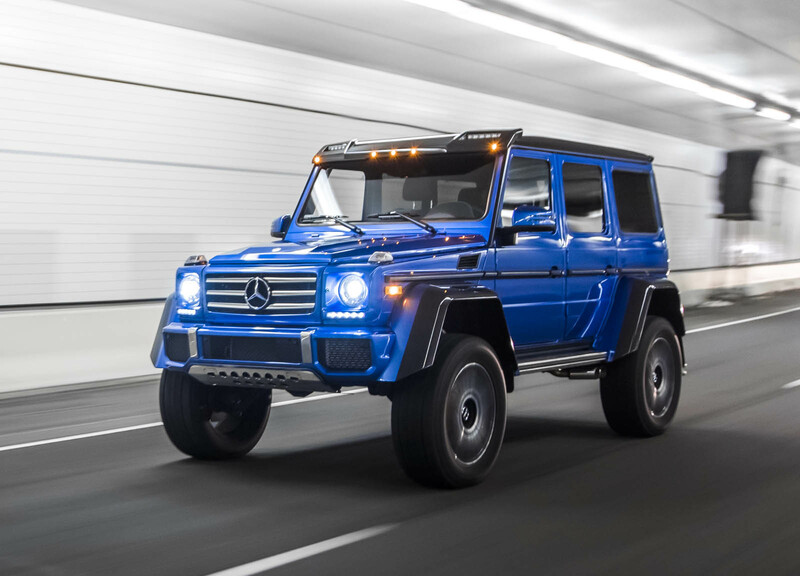 This example is powered by a naturally aspirated 5.0-liter V8 that’s good for 292 HP and 336 lb-ft (455 Nm) of torque. 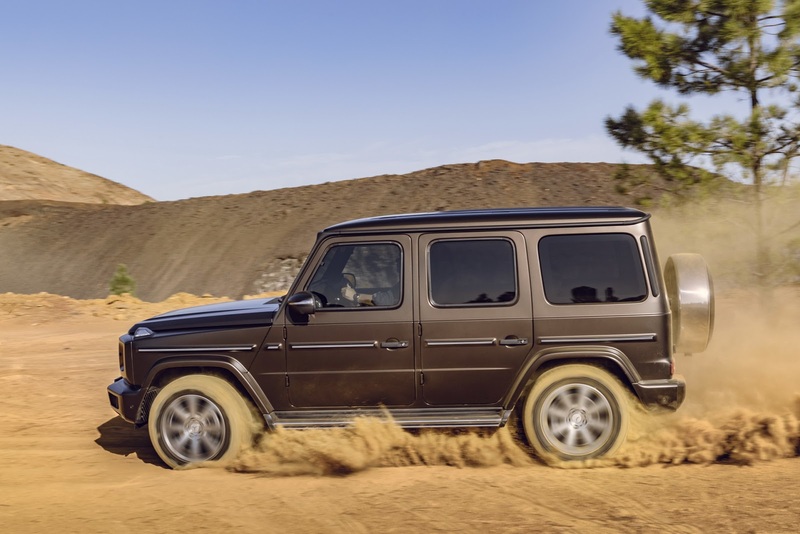 It’s certainly nowhere near as quick as a modern-day G 550, but, apart from the performance, you will still be getting the G-Wagen experience. 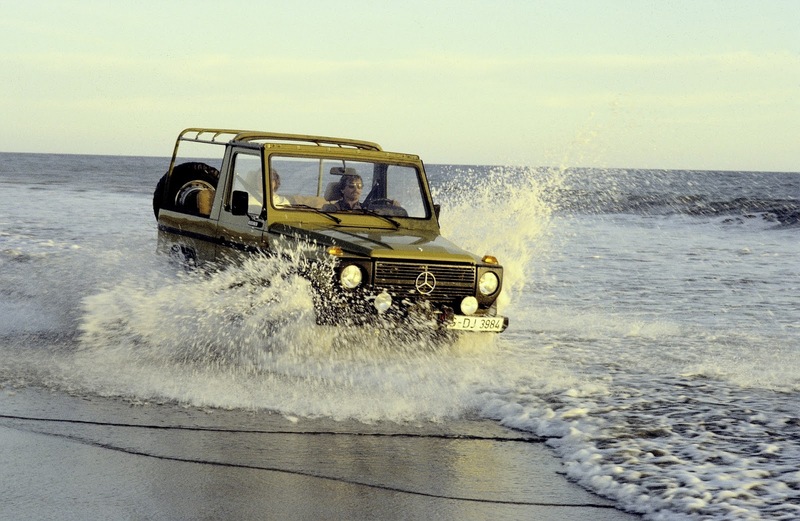 Finally, the seller was even nice enough to include a brief POV driving video, showing how the car behaves and sounds on the road. 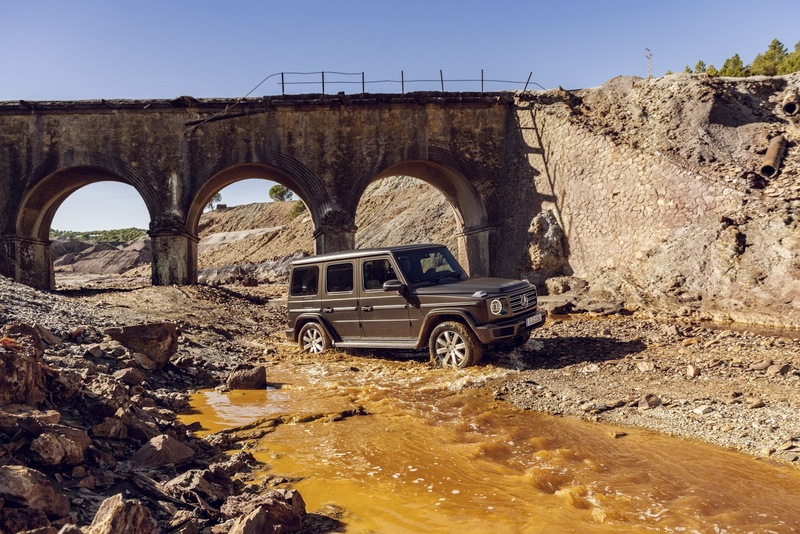 Mercedes-Benz is highlighting the fact that the next-generation G-Class has undergone an extensive development program by setting it loose on an off-road course. 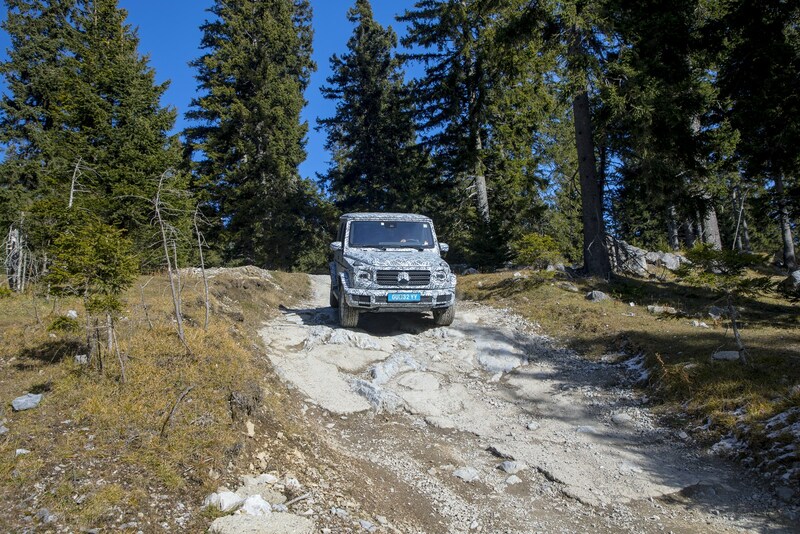 Located near Graz, Austria, on a 1,445m (4,741ft) high mountain, the 5.6km (3.5 miles) route goes through the forest and includes gradients of up to 60 percent, and lateral inclinations of up to 40 percent. However, this didn’t turn out to be a challenge for the hairy-chested SUV, which uses a ladder-type frame, low-range gearbox, and three 100-percent differential locks. 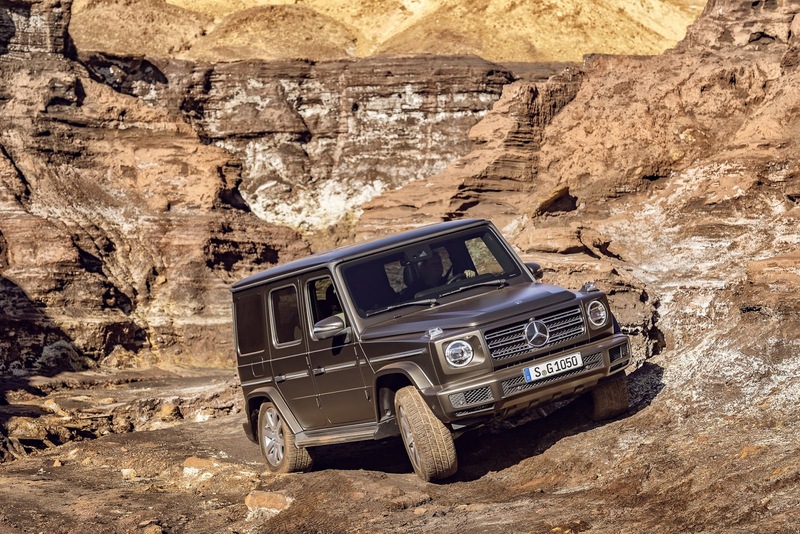 It also gets independent front suspension, 241mm (9.5in) of ground clearance, and plenty of other features that will help it cope with pretty much everything Mother Nature has to throw at it. 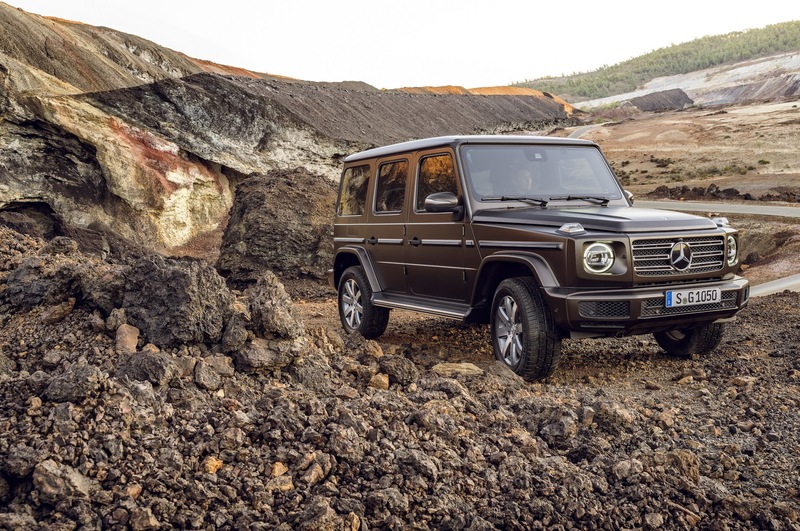 As modern as it may be, the 2019 Mercedes-Benz G-Class retains the same boxy design that made it famous. 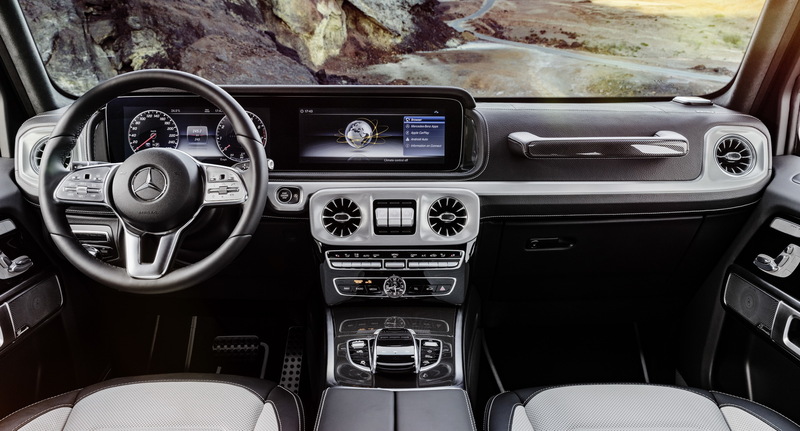 Inside, things will be completely different, as it gets not only plenty of leather and other high-end materials, but also the dual-screen layout that debuted on the new E-Class. 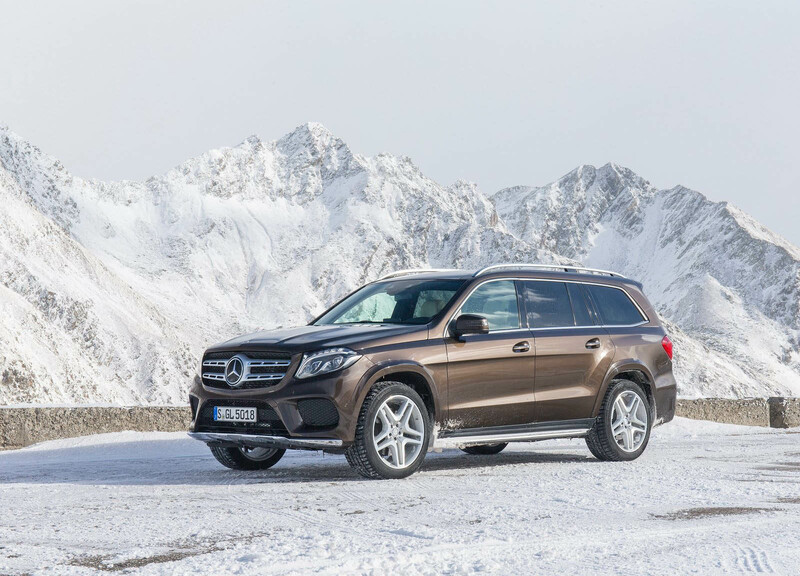 Mercedes-Benz will reveal the all-new SUV in just a little over the week, during the 2018 Detroit Auto Show, where it will mark its world premier, but you can get a first look at it through these leaked images. 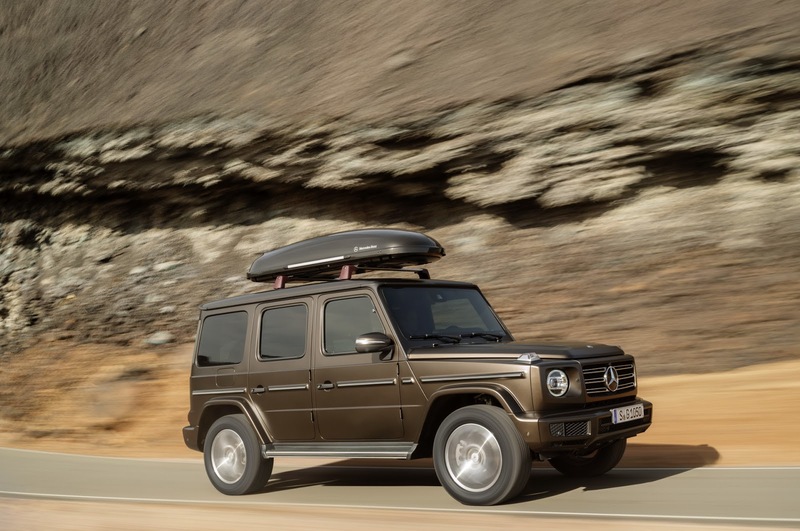 Mercedes has released new details about the 2019 G-Class ahead of its debut at the North American International Auto Show later this month. 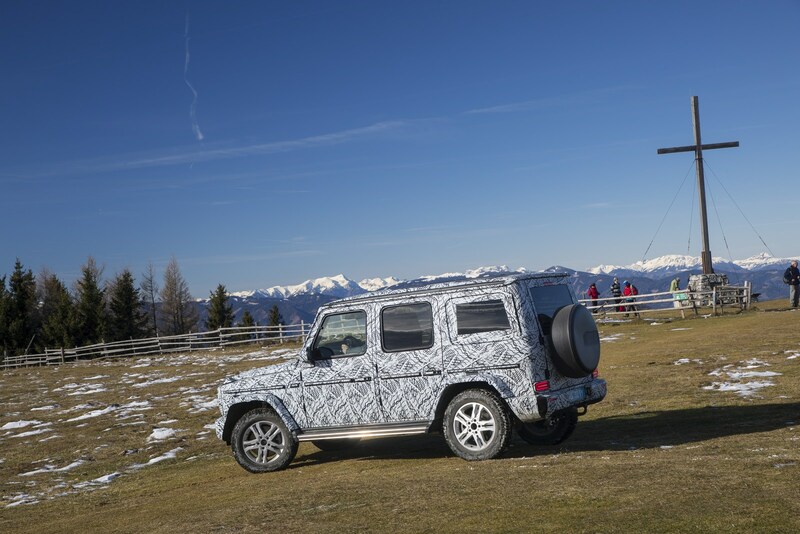 Designed to be just as capable as its predecessor, the model has undergone an extensive development program which involved testing the G-Class on the Schöckl which is a 1,445 meter (4740 foot) tall mountain near the Austrian city of Graz where the SUV is built. 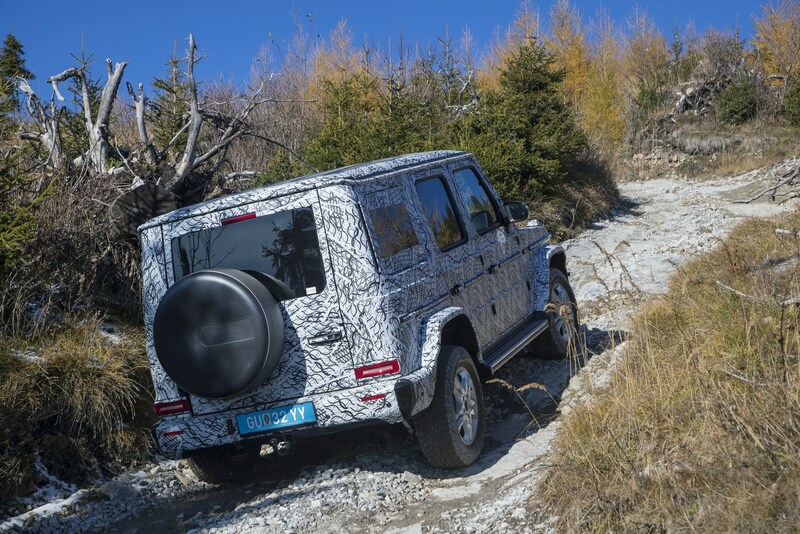 One of the key objectives of testing the model was to ensure the 2019 G-Class is even more effective off-road than the outgoing model. 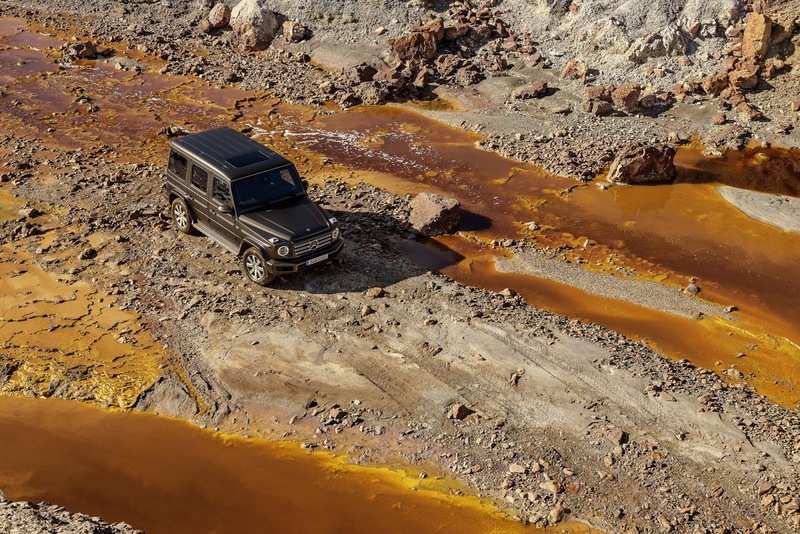 In terms of specifics, Mercedes says the latest G-Class has approach and departure angles of 31° and 30° as well as a maximum fording depth of 70 centimeters (27.5 inches). The SUV also boasts a 26° breakover angle, tons of suspension travel, and 241 mm (9.5 inches) of ground clearance between the axles. 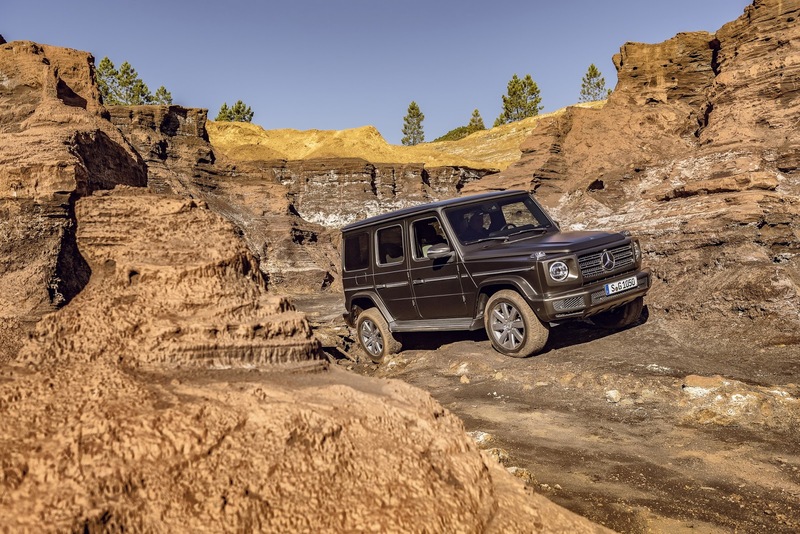 Speaking of off-roading, the G-Class features an all-new G-Mode which is activated as soon as the SUV is put into low range or one of the three differential locks is selected. 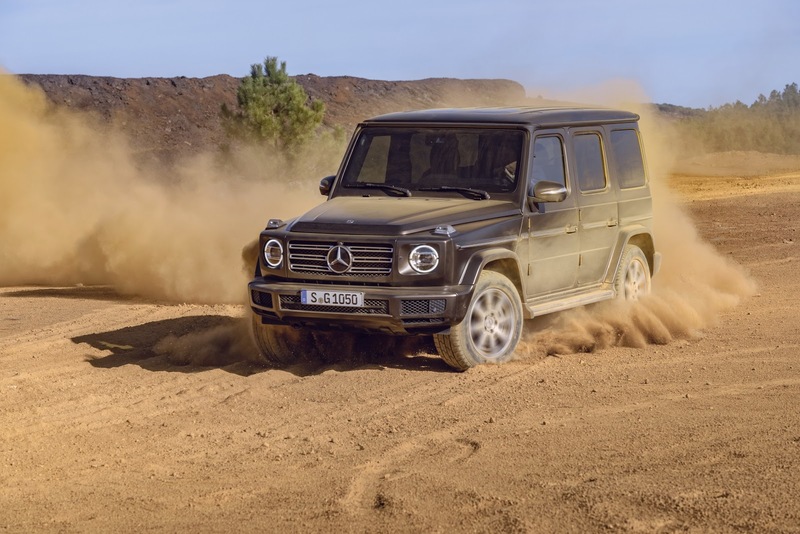 Mercedes says the mode changes the characteristics of the accelerator, steering system, and adjustable damping system to ensure maximum off-road capability. 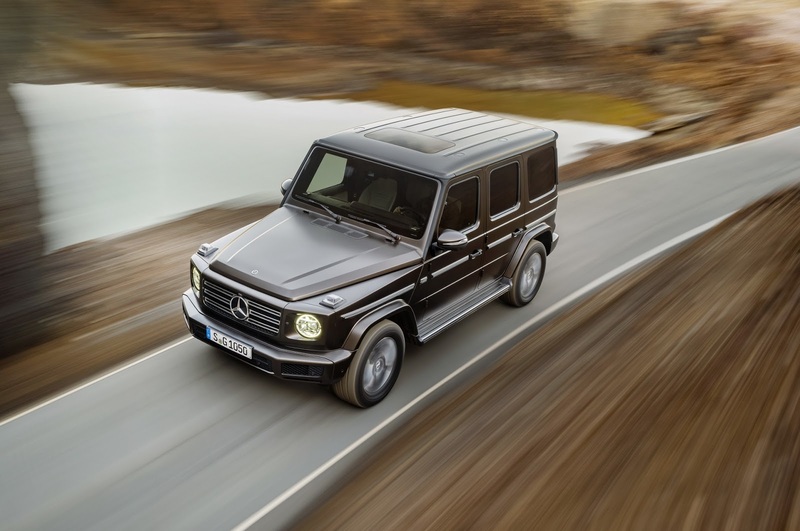 Mercedes is keeping performance specifications under wraps but they confirmed the G-Class has a new 9G-TRONIC automatic transmission with a torque converter that was specially designed for the model. 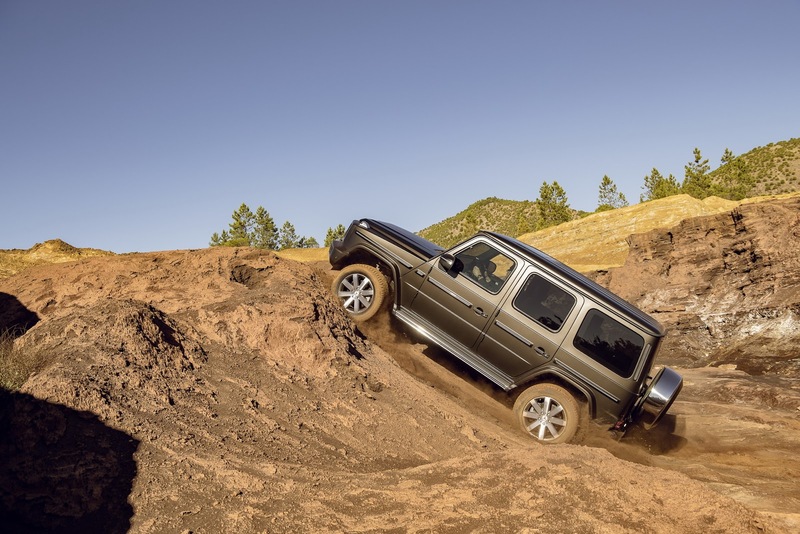 The gearbox promises to make the luxury off-roader quieter, more comfortable, and more fuel-efficient. 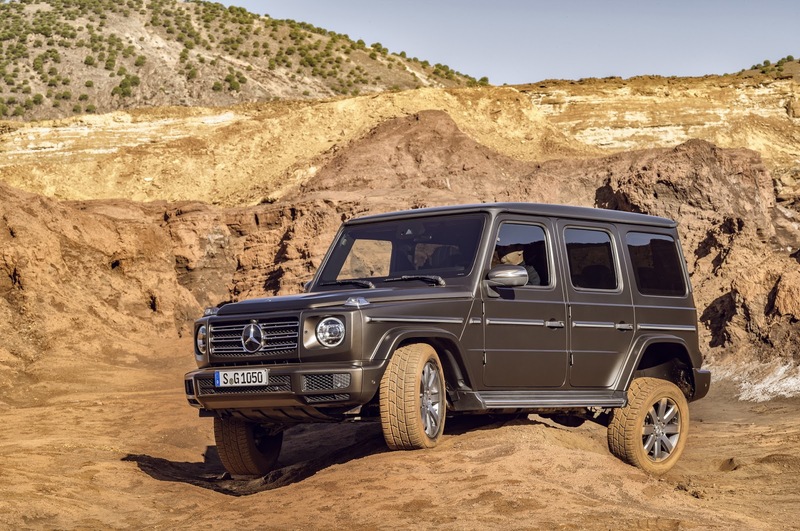 The G-Class has also been equipped with a new transfer case that sends 40 percent of the drive torque to the front axle and the remaining 60 percent to the rear axle. 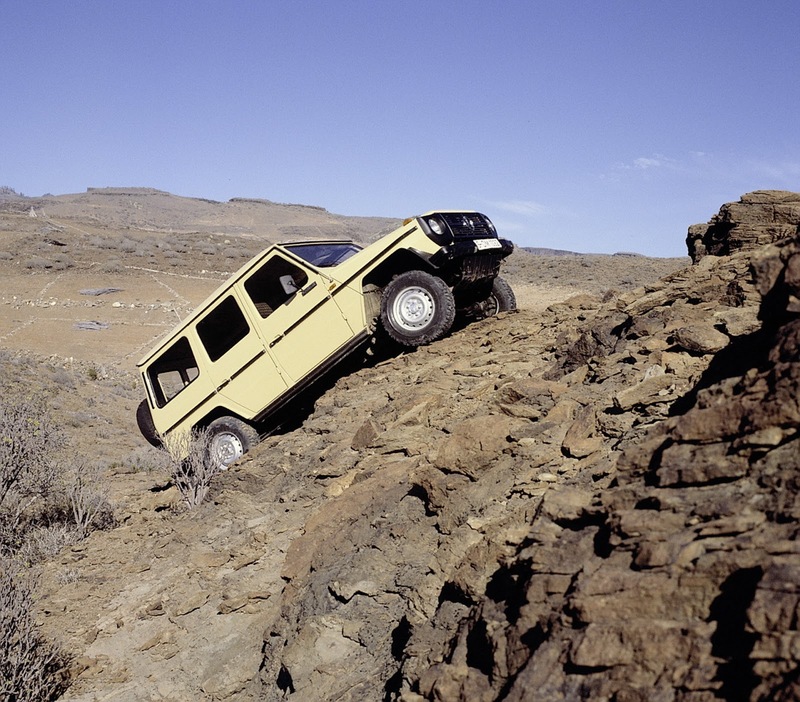 The low range can be activated at speeds up to 40 km/h (24 mph) and it changes the gear ratio from 1.00 to 2.93. 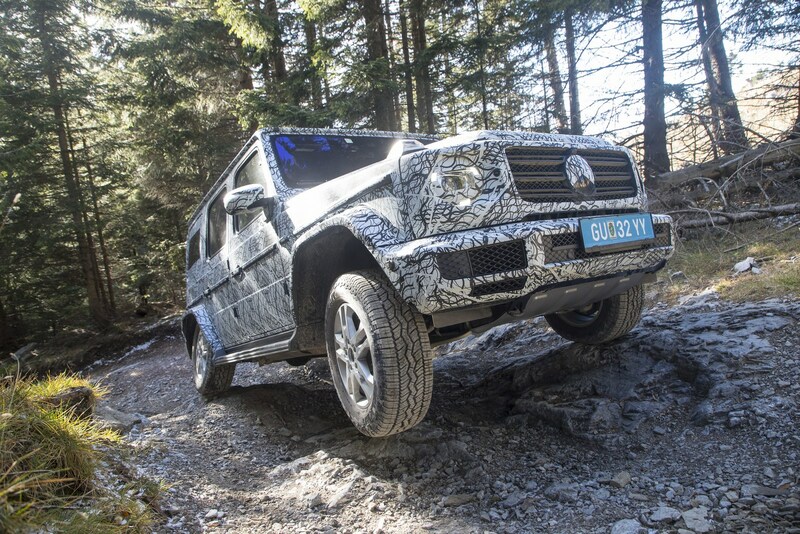 To help aid drivers off-road, the G-Class can show a 360° bird’s-eye view of the model with dynamic guide lines that indicate the width of the vehicle. 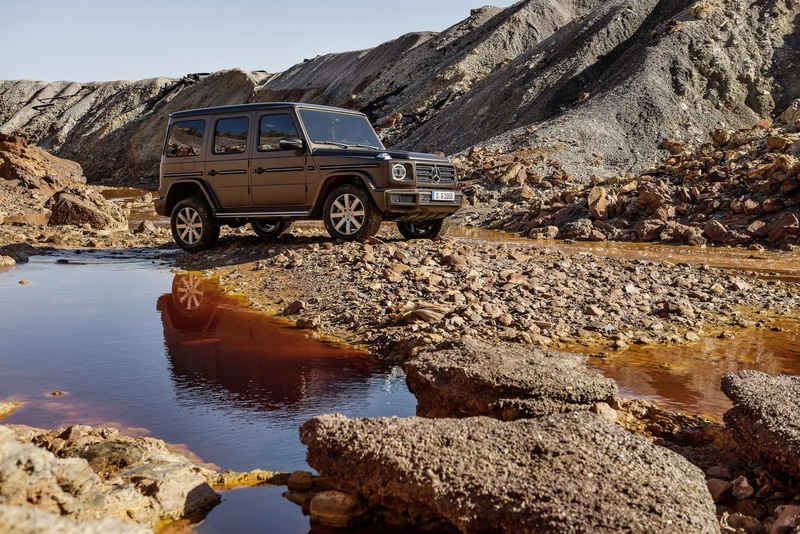 There’s also a specially designed off-road display which shows everything from the G-Class’ current angle to which differential locks are activated. 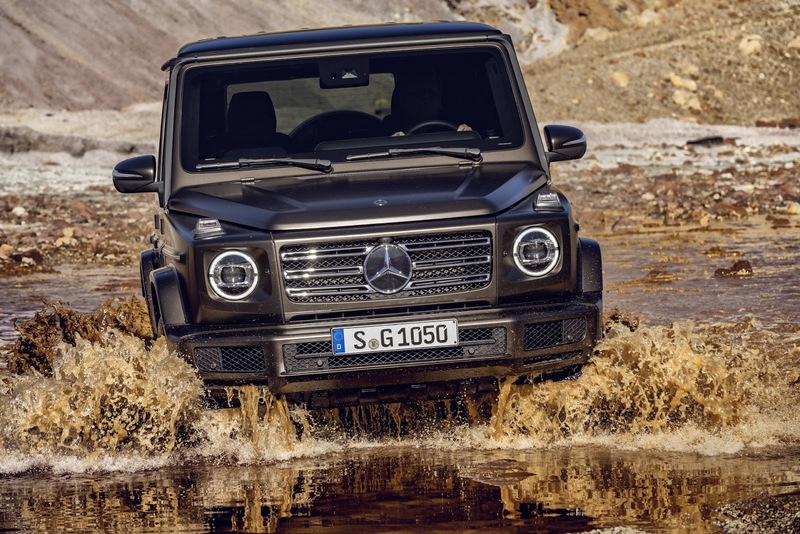 The Mercedes-AMG G63 6×6 is an insane off-roader which packs plenty of performance and luxury features. 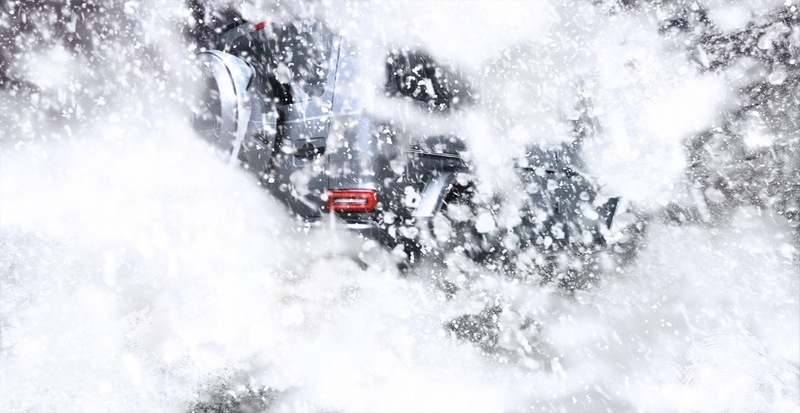 While it’s hard to imagine anything could stop a vehicle like this, one owner found out snow can. 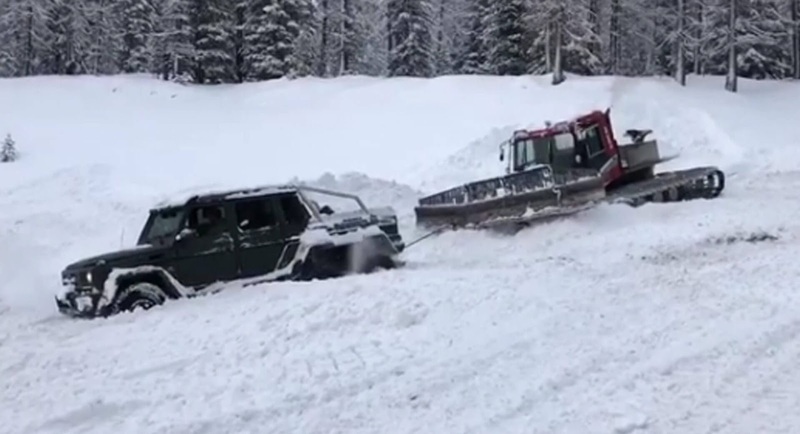 In an Instagram post, Gregb.23 revealed he got his G63 6×6 stuck while playing in the snow covered surrounding of Cortina d’Ampezzo, Italy. 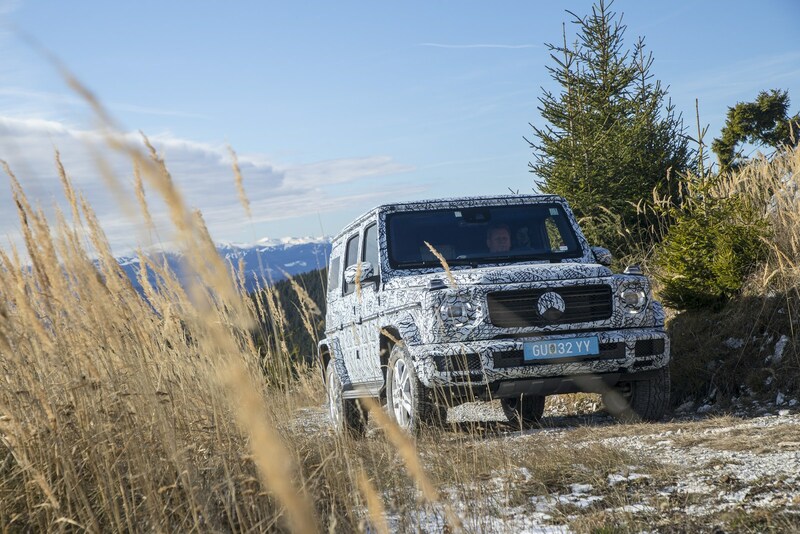 While the clip doesn’t show the model getting stuck, an earlier video revealed he was driving relatively cautiously and the G-Class didn’t have much trouble tackling mountains of snow which reached as high as the hood. 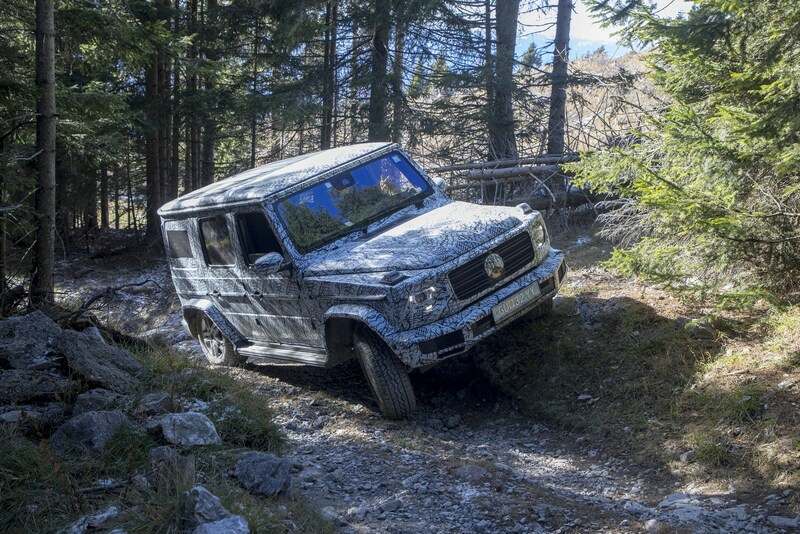 This didn’t matter as the G-Class eventually got trapped with snow reaching to the top of its 37-inch tires. 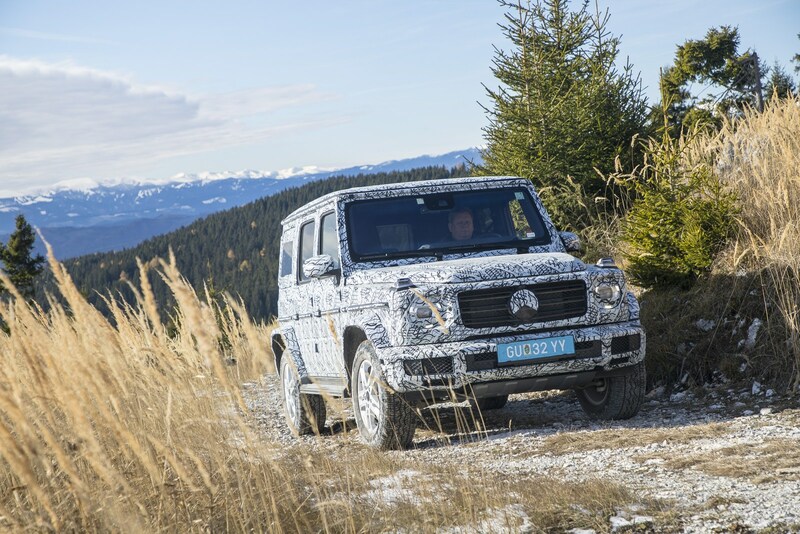 A Snowcat was called into pull the G63 6×6 from its wintery grave but the tracked vehicle still had trouble freeing the snow-bound Mercedes. 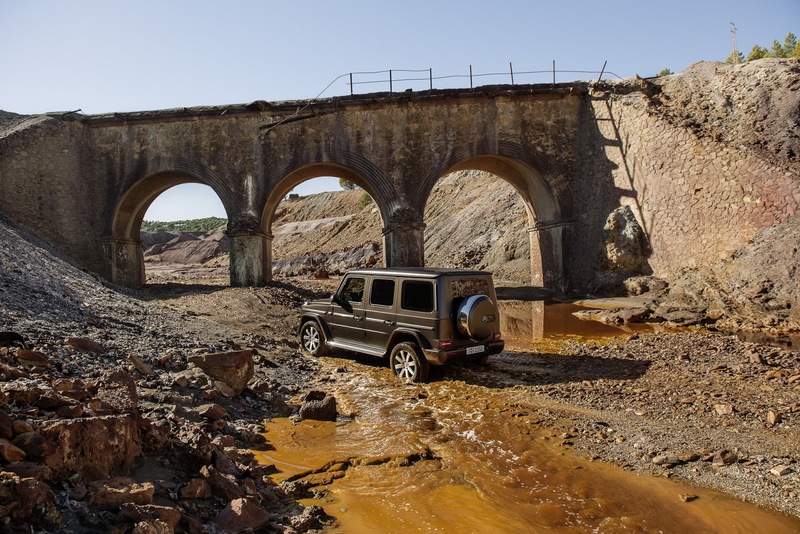 The G63 6×6 might have found its match in this case, but the model has portal axles, five differential locks, and 460 mm (18.1 inches) of ground clearance. 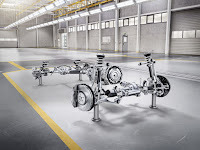 It also features impressive approach and departure angles as well as a tire pressure control system which inflate the tires from 0.5 bar (7.2 psi) to 1.8 bar (26.1 psi) in just 20 seconds. 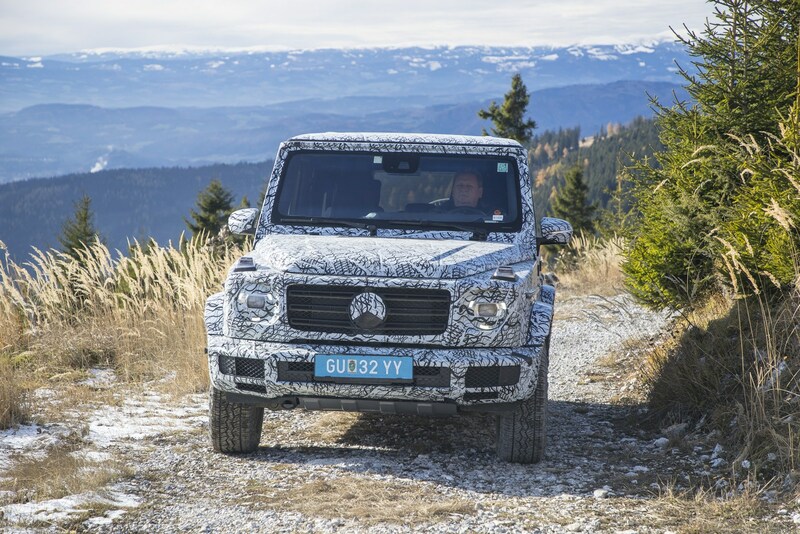 Mercedes-Benz has confirmed that the next-generation G-Class will premiere on January 15, following the release of a new teaser video. 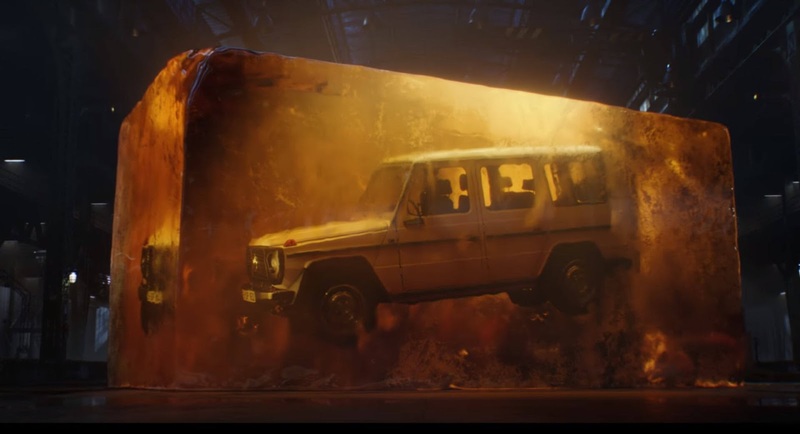 The clip, dubbed ‘Stronger Than Time | The Amber Cube’, depicts the outgoing G-Class suspended in a cube of amber, representing its timelessness and longevity. 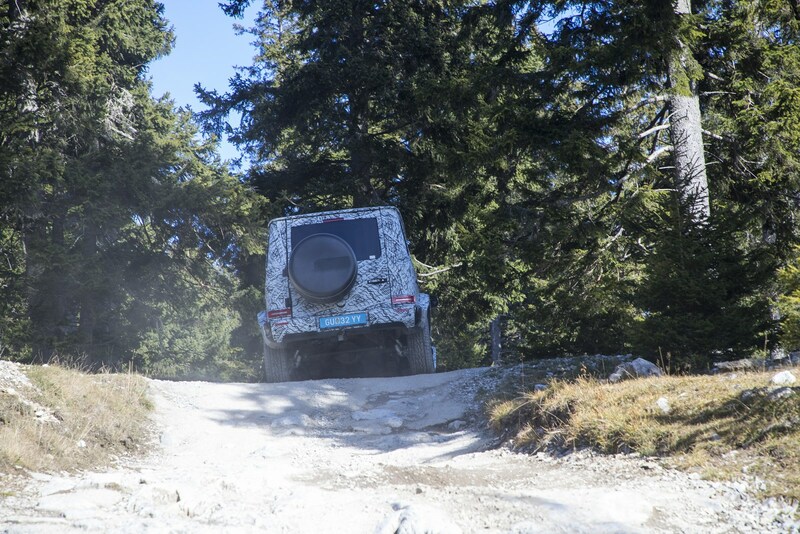 Although it doesn’t offer a glimpse of the new off-roader, it does make us even more excited for the impending release. 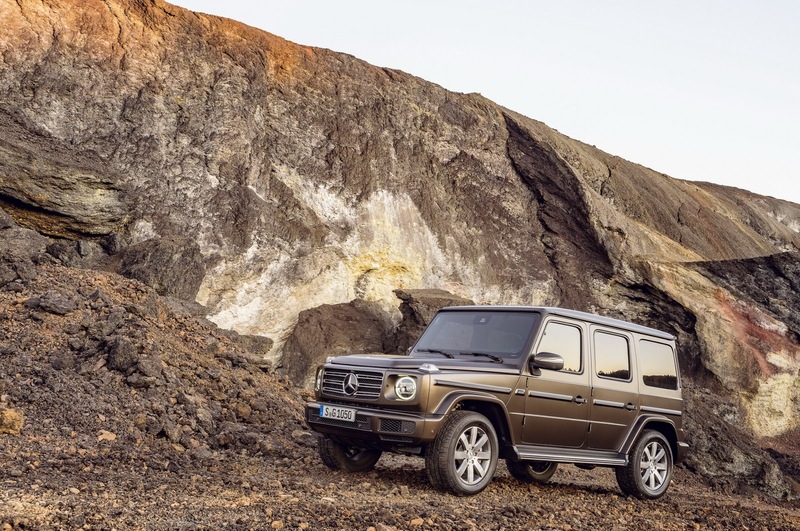 The G-Class hasn’t enjoyed a major redesign since 1979, and if Mercedes plays its cards right, new technologies should make the new one a significant improvement over the outgoing model. Compared to its predecessor, the new G-Class will be larger and offer increased leg, shoulder, and elbow room, while rear seat passengers will also be able to enjoy an additional 5.9 inches (150 mm) of legroom. 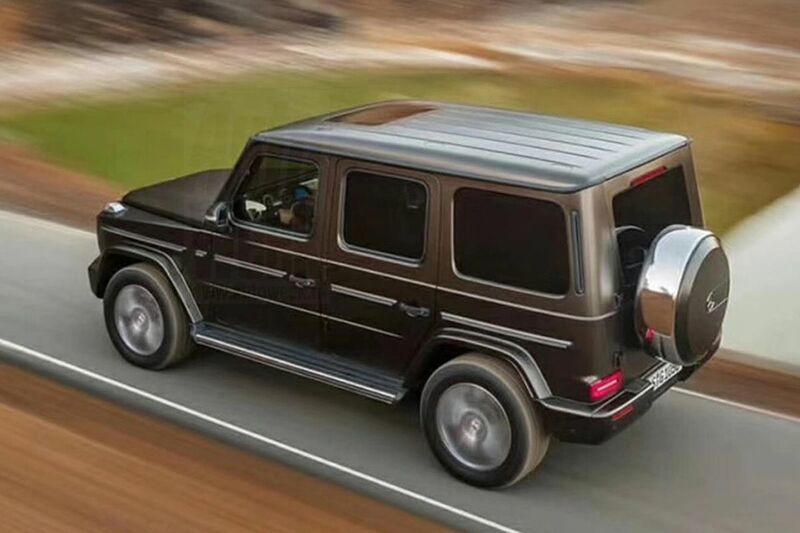 Based on recent spy images, the exterior design of the new G-Class will be similar to the current model. 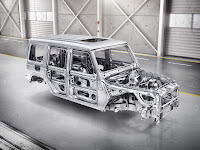 Beneath the bodywork, however, it’s all new, and modifications will be aplenty, including the availability of straight-six turbo engines and an independent front suspension. 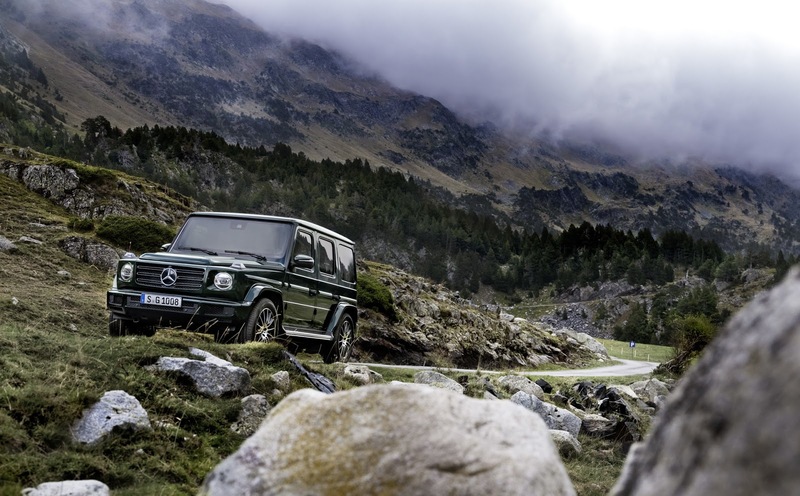 The Mercedes-Benz G500 4×4² makes no practical sense but that hasn’t stopped it becoming the latest must-have for wealthy car enthusiasts. 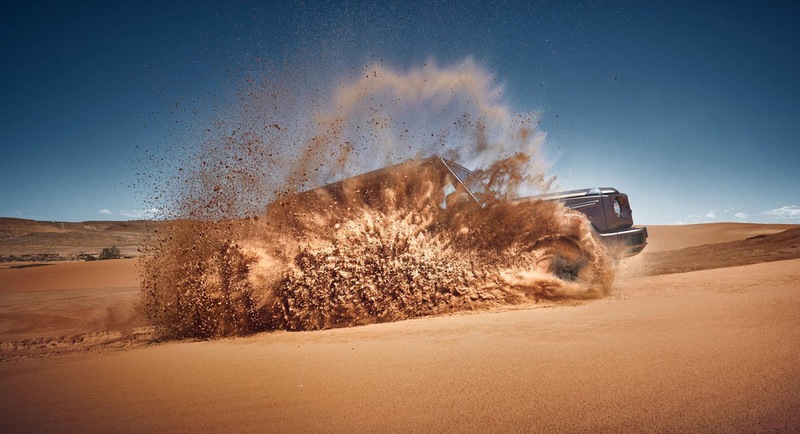 In fact, the expensive off-roader has become a status symbol for the rich and numerous owners have heavily modified their 4×4’s, none more so than Jon Olsson. 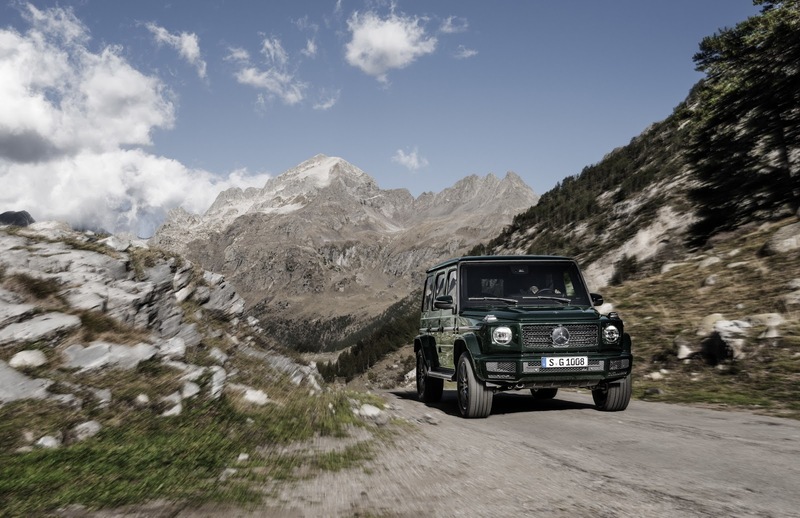 A couple of months ago, the former professional skier and YouTuber unveiled his bespoke G500 4×4², overhauled by Absolute Motors in the Netherlands. 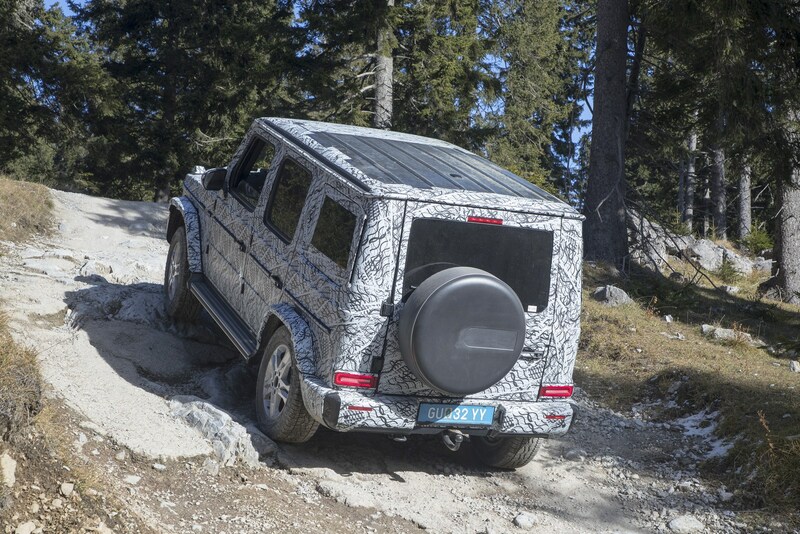 Aware of the impracticalities of owning a vehicle so massive in Monaco, Olsson has decided to turn his SUV into a convertible, all in an effort to ensure it can fit in the small parking garages of the tiny principality. 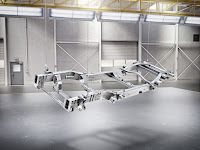 Work on the world’s first 4×4² Convertible only commenced a couple of days ago but Olsson’s latest vlog shows the G500’s roof being cut off, alongside the B-, C-, and D-pillars. 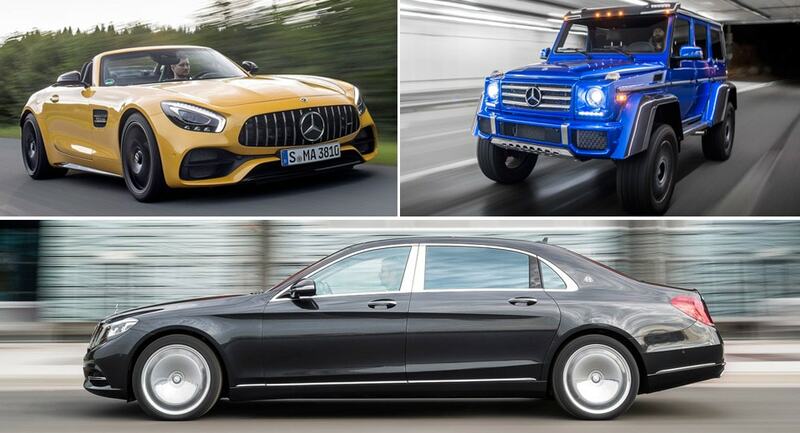 Before long, the A-pillars of the Mercedes will also be cut and a new slimline windshield installed to ensure the vehicle can be parked in Monaco. 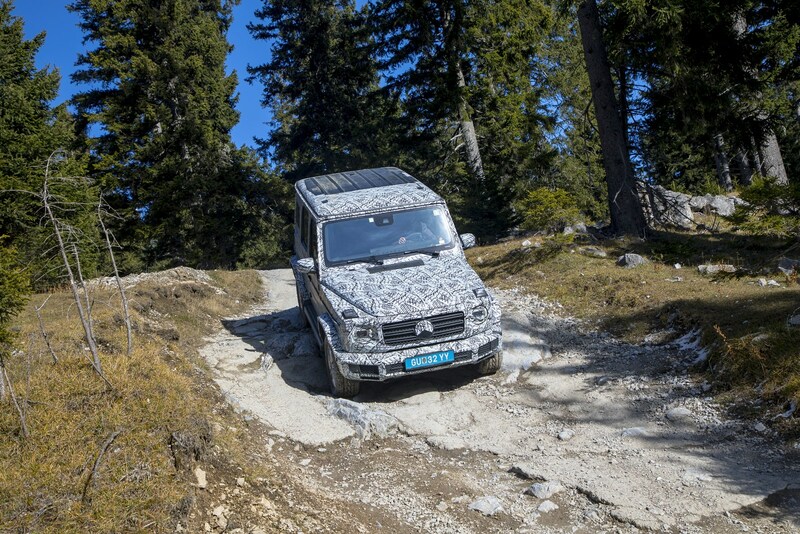 No details have been announced as to what other modifications Olsson has planned for the 4×4², but we should see the transformed off-roader in full in the not too distant future.